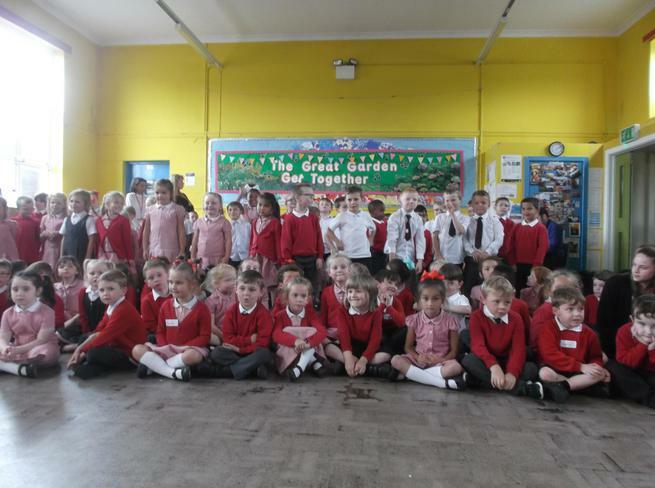 Today members of the school council were fortunate enough to meet a local Olympian. 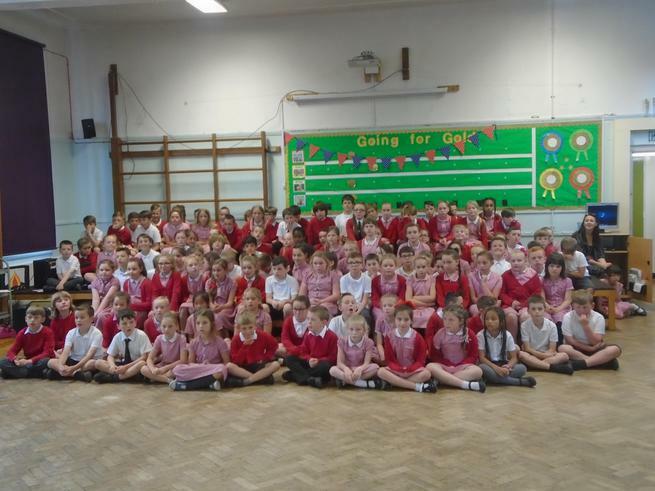 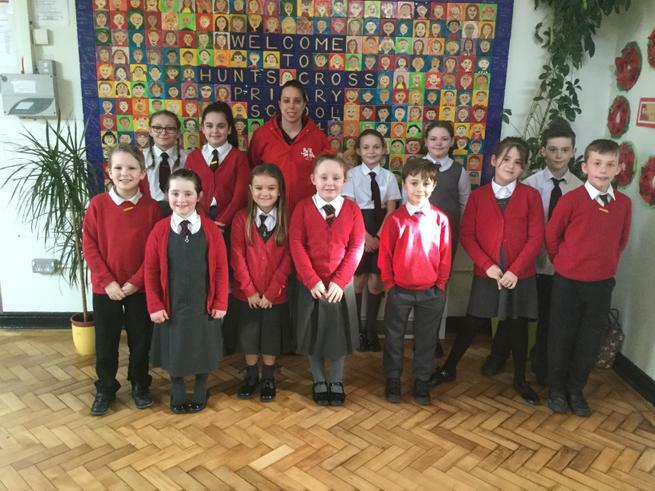 Beth Tweddle very kindly took the time to answer many questions about her journey to become a world class gymnast! 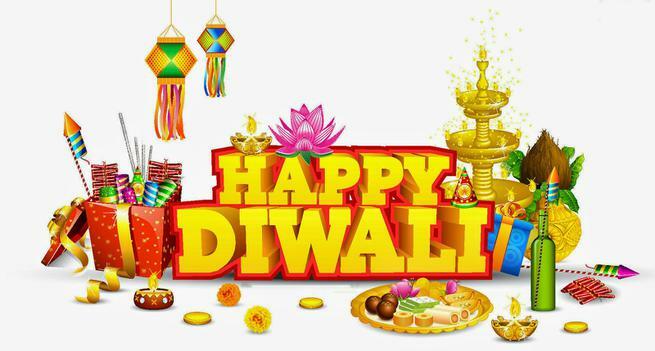 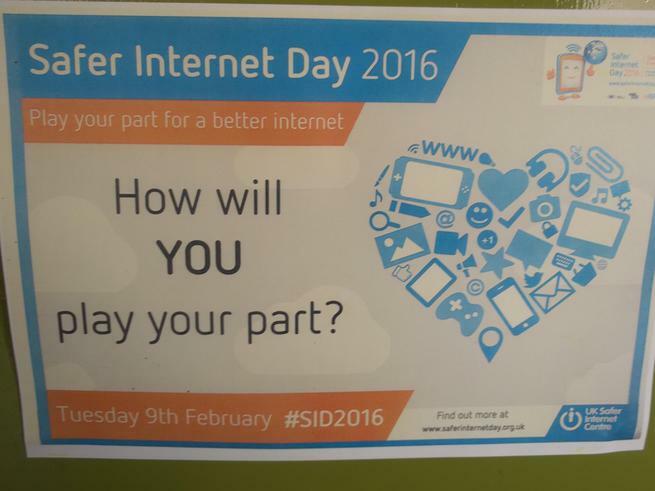 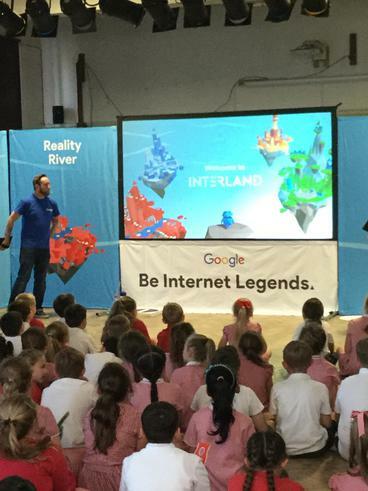 A big thanks to Google's, Be Internet legends. 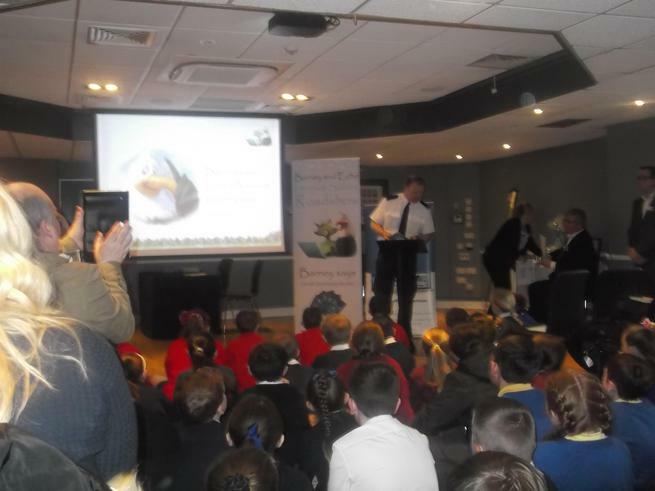 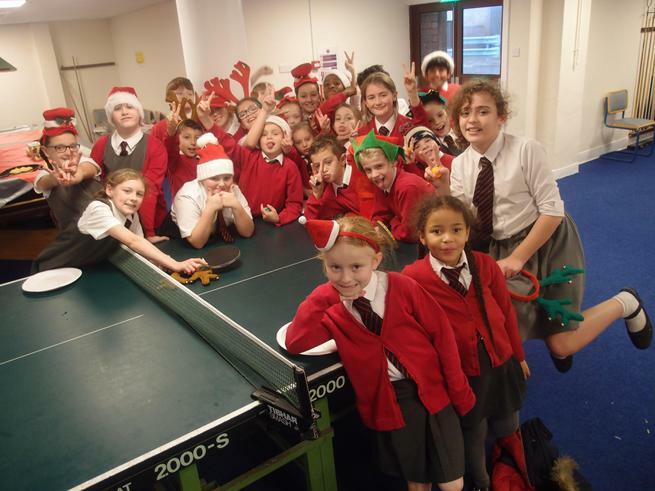 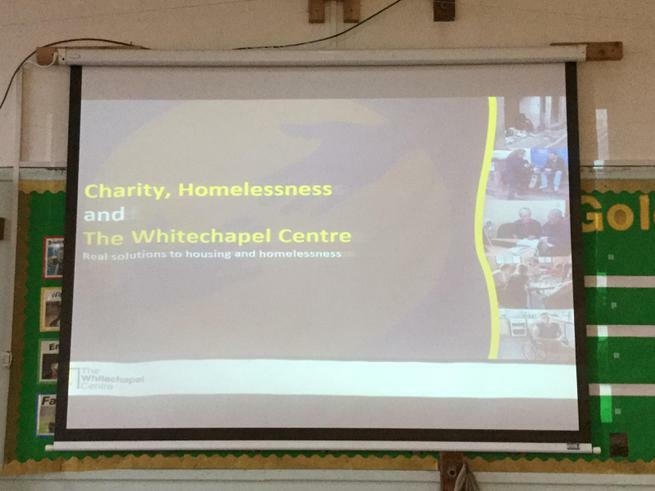 The Whitechapel centre came in to launch our Christmas appeal. 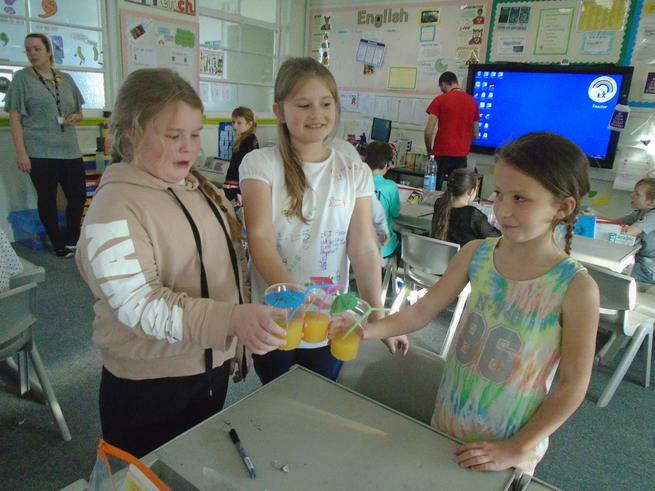 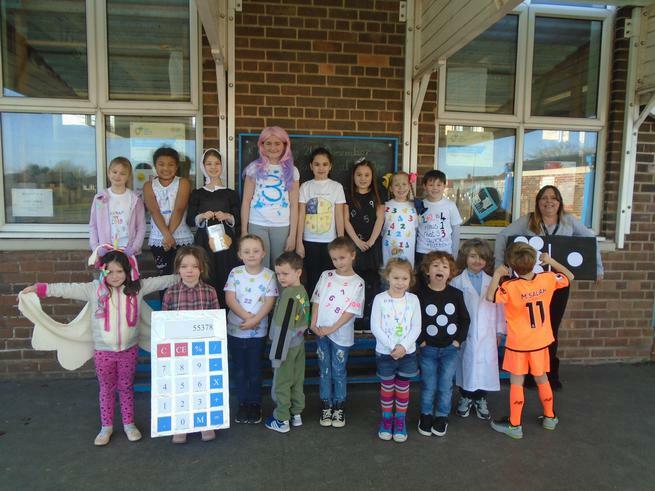 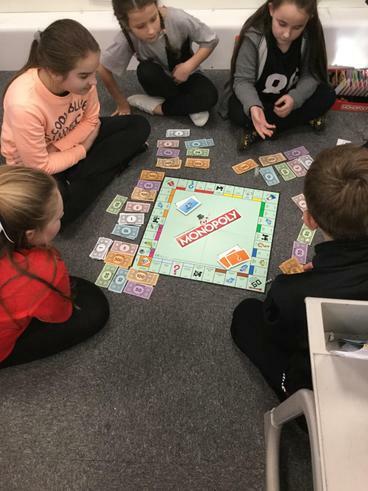 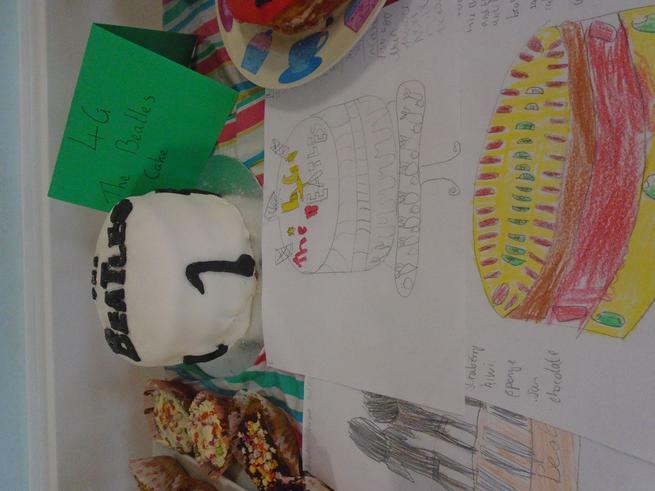 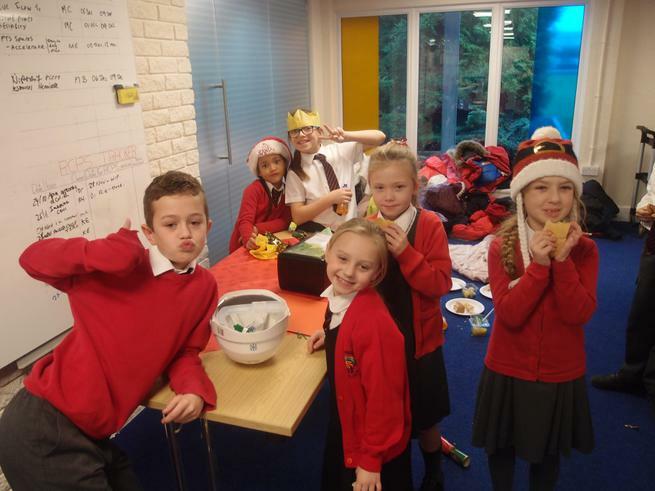 The children have decided to raise money to help the homeless. 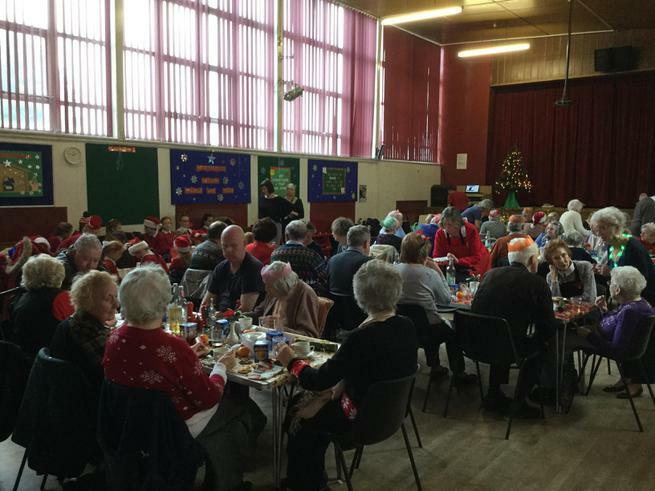 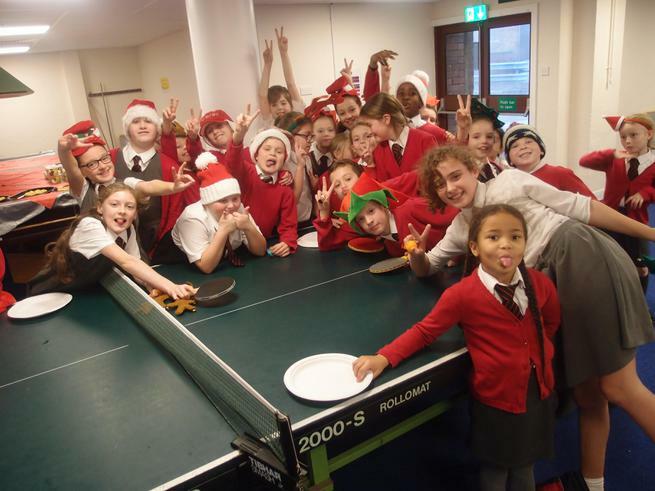 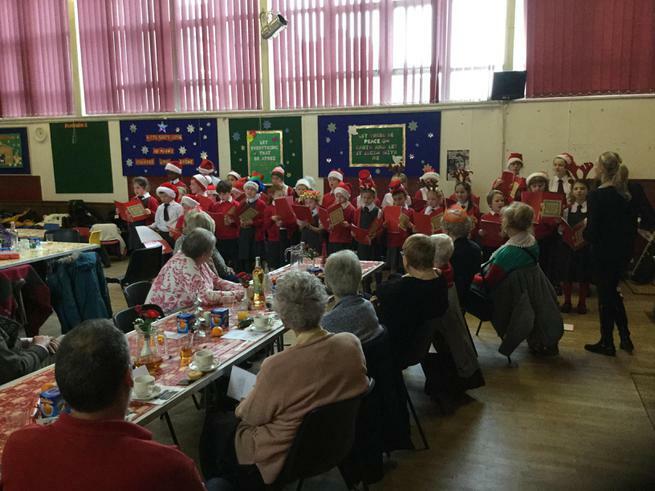 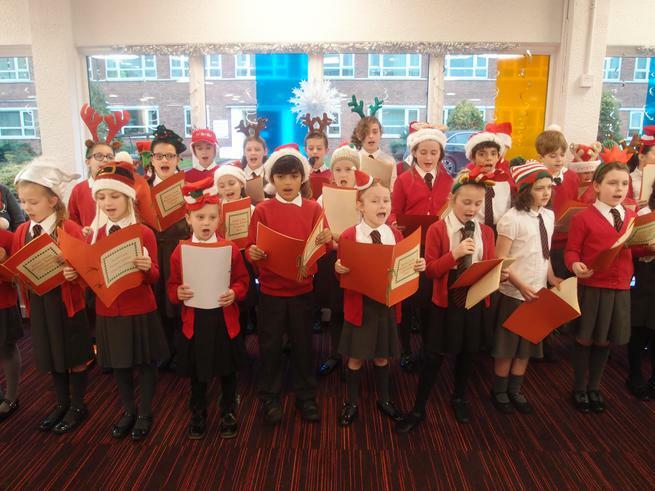 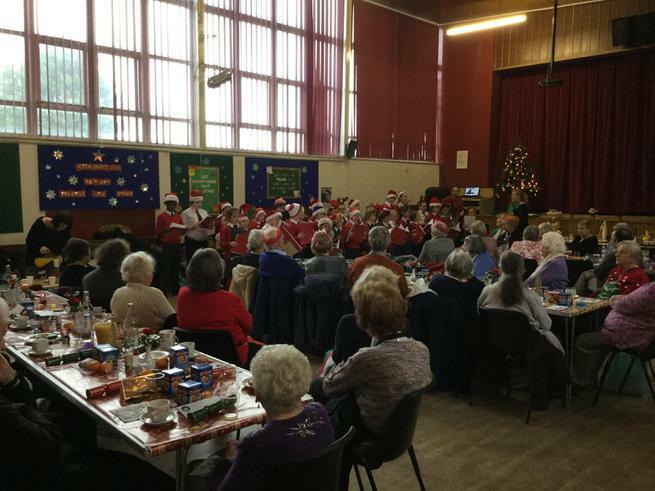 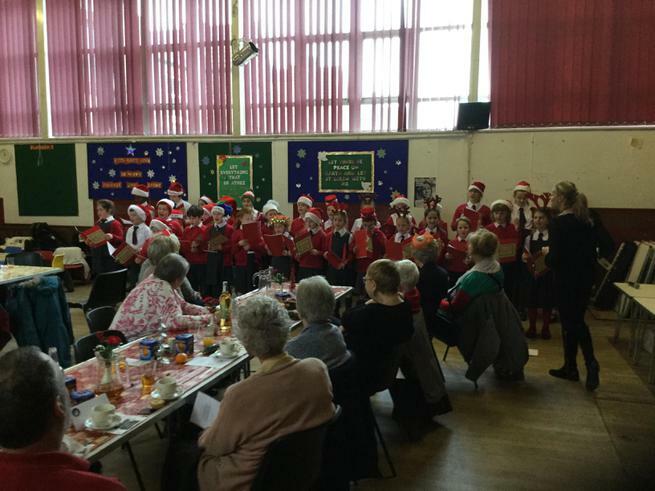 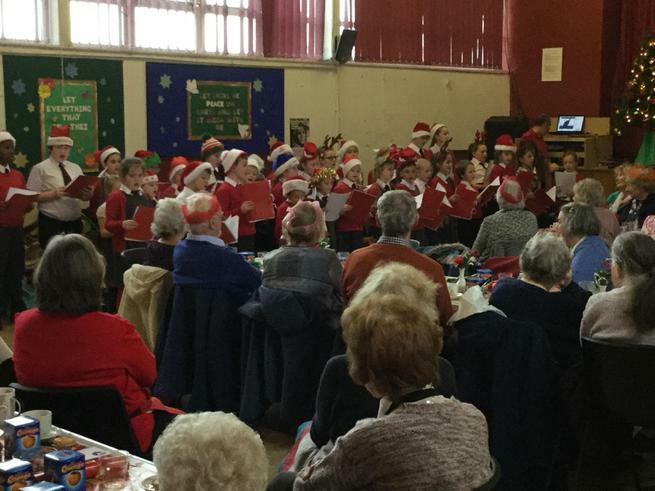 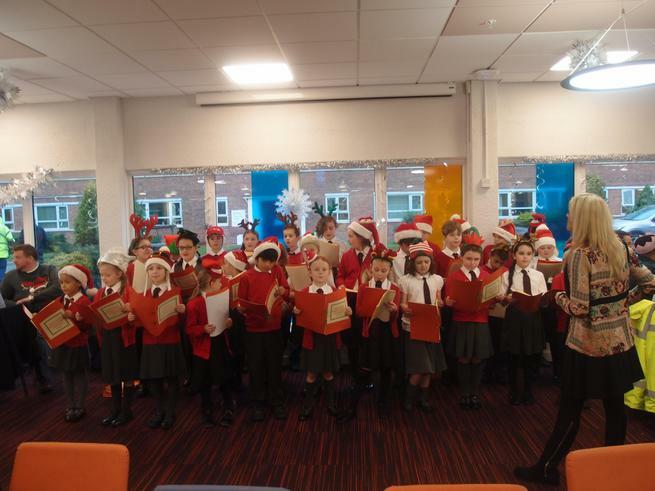 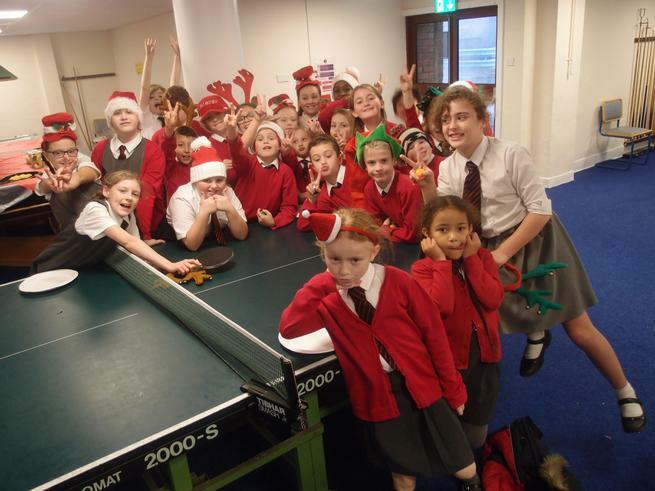 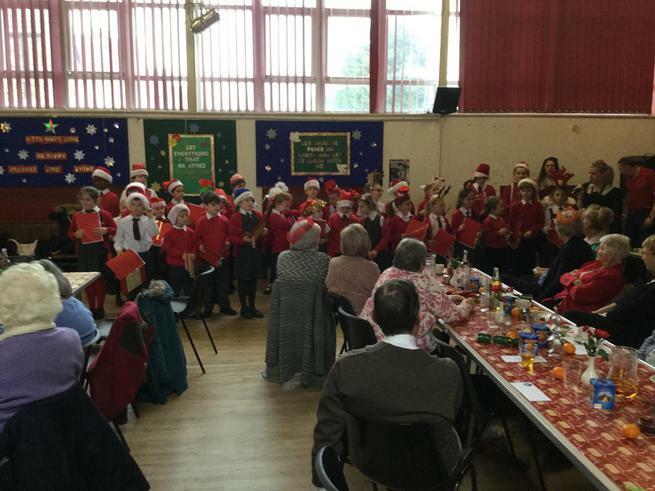 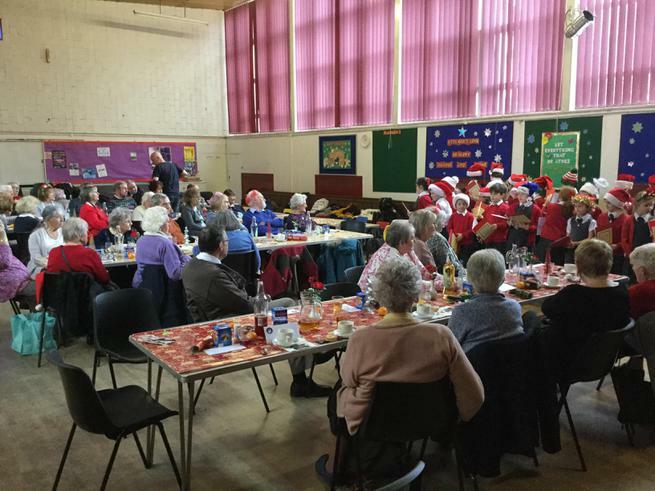 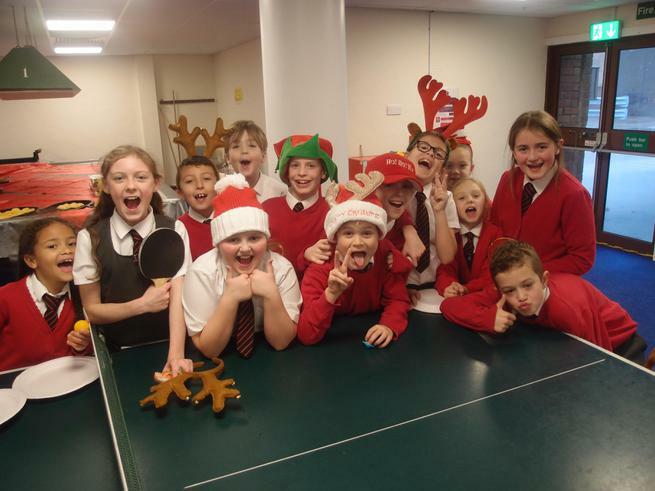 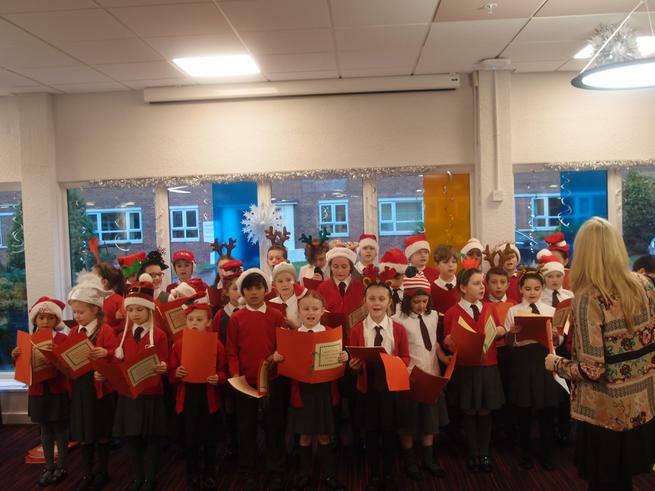 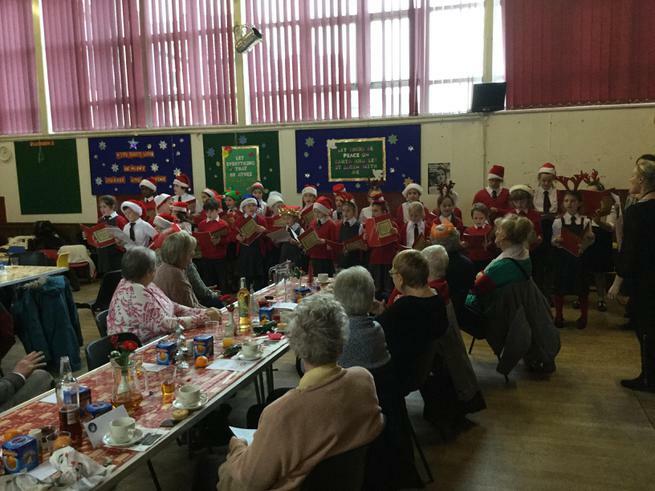 Below, is a link to the video of the Choir performing at St Hilda's Christmas community lunch for the elderly. 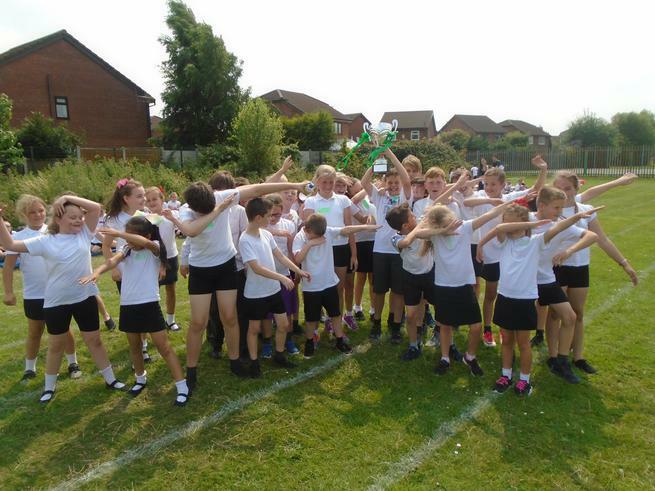 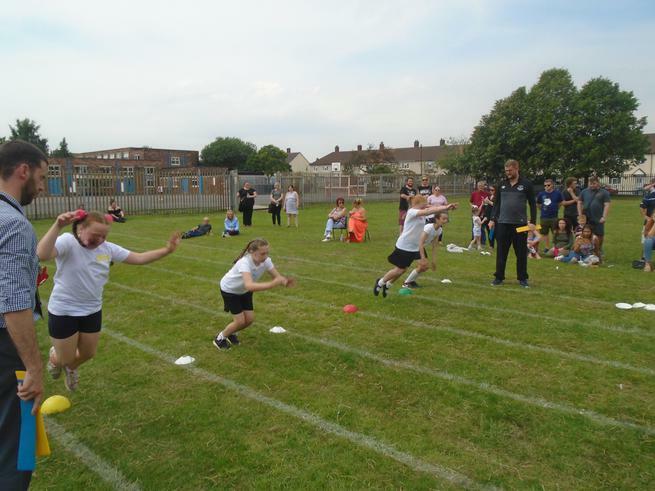 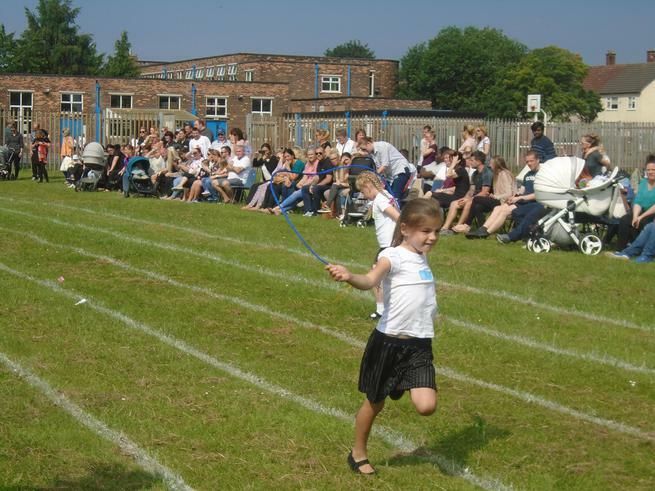 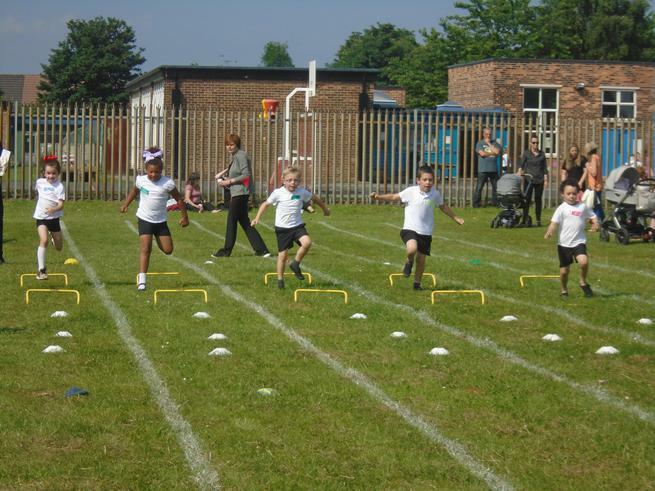 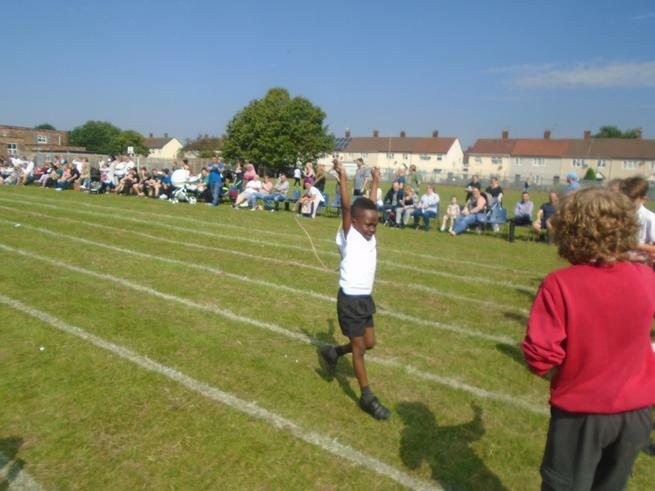 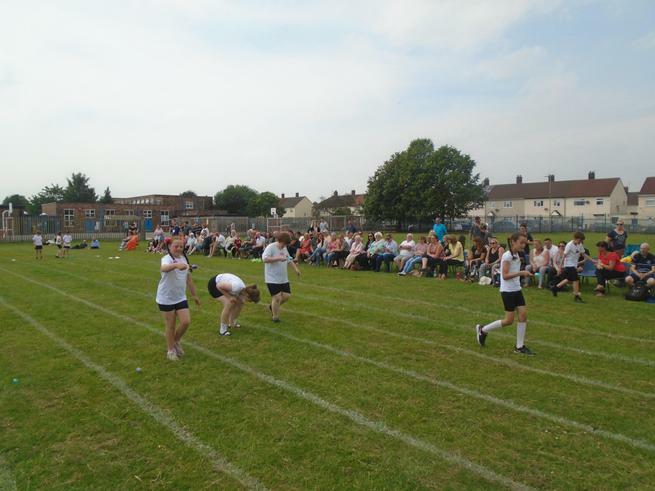 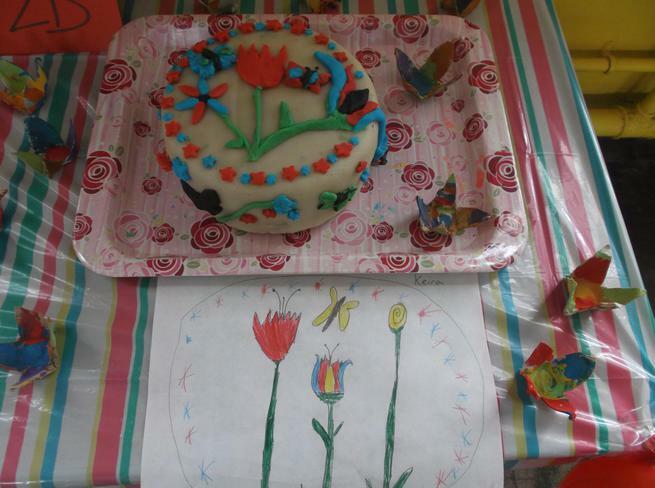 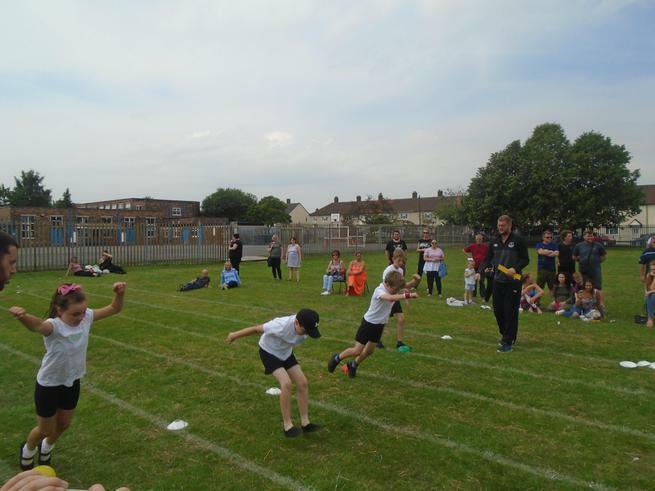 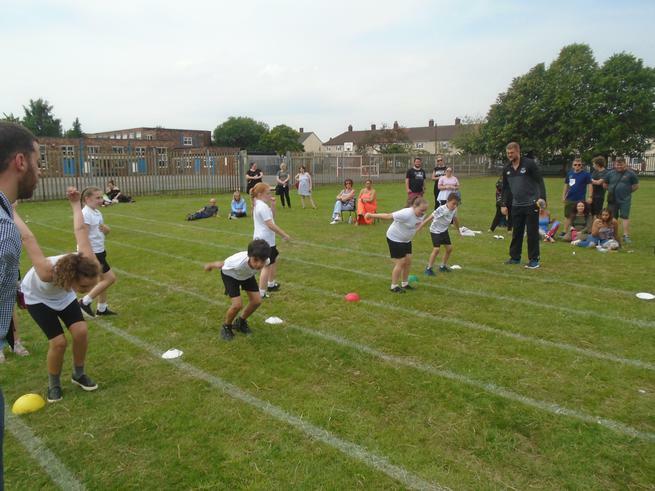 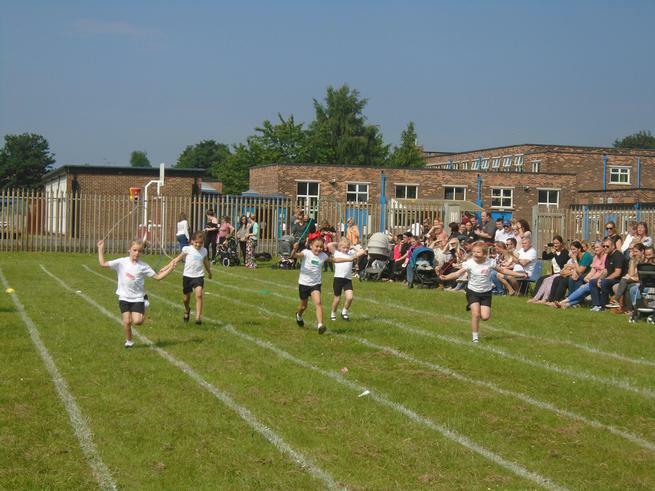 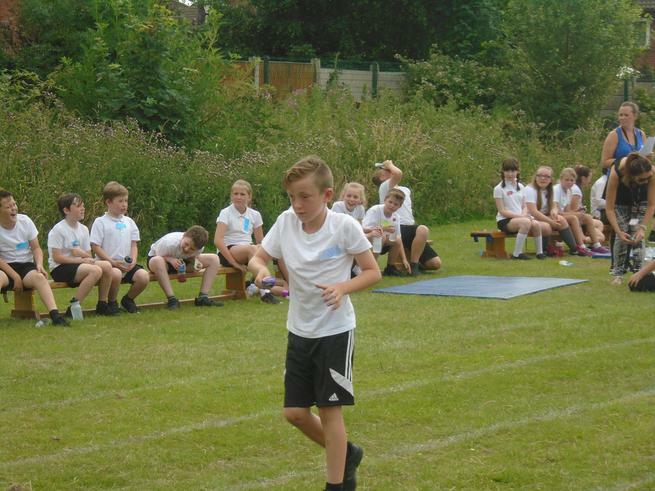 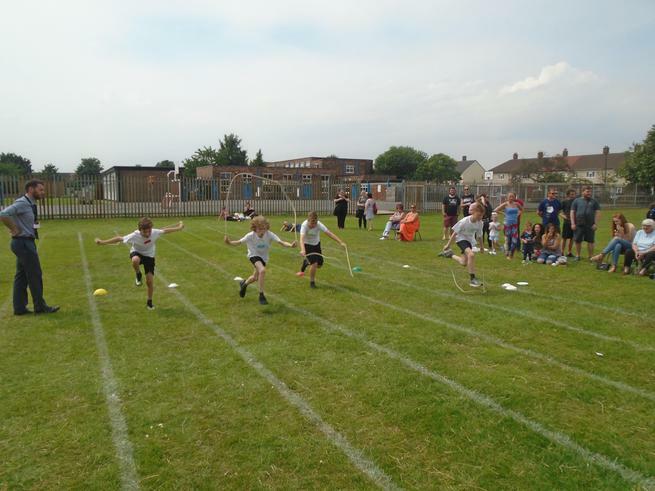 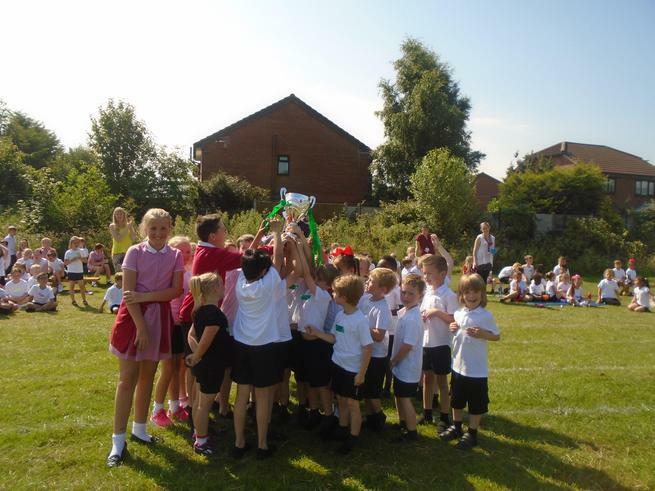 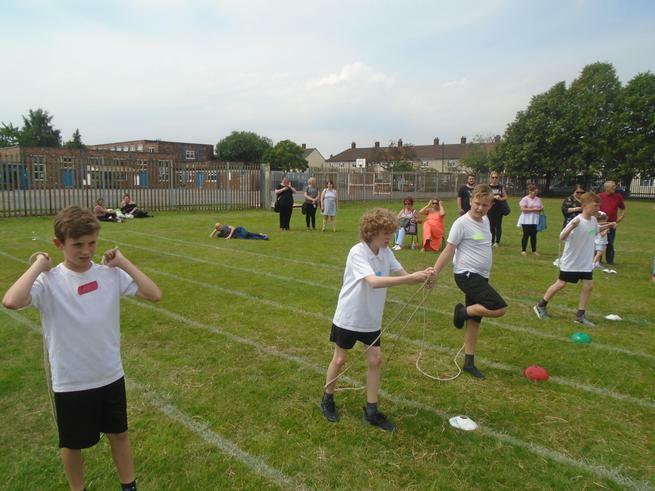 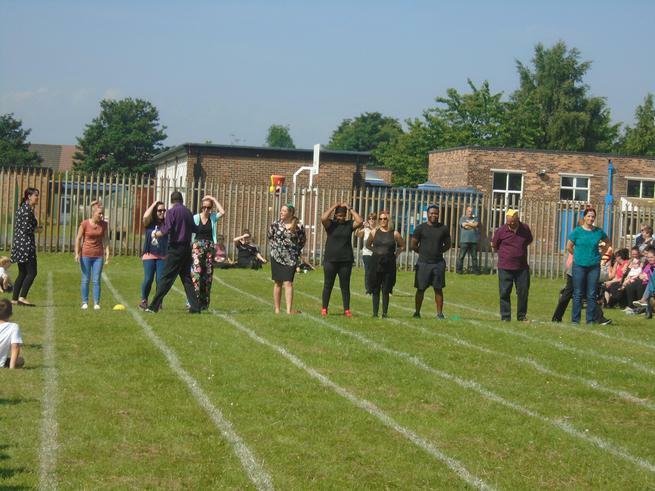 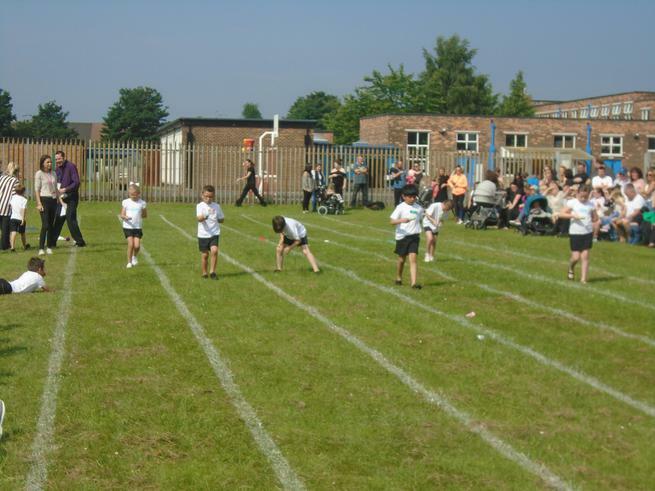 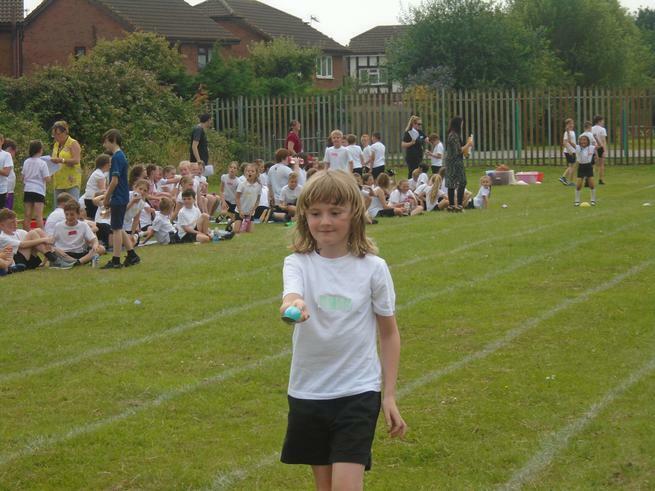 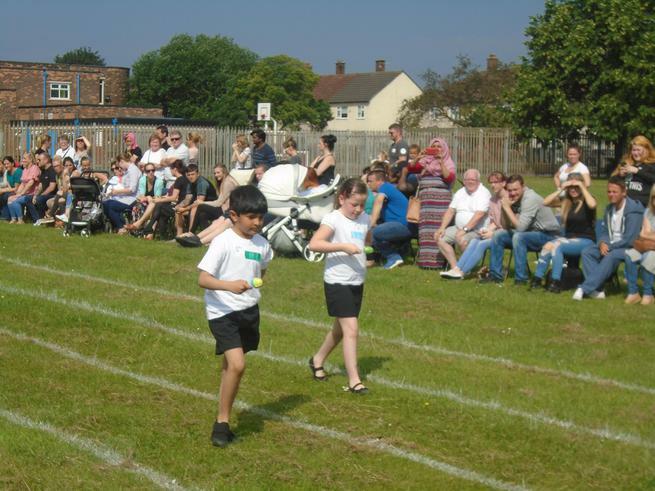 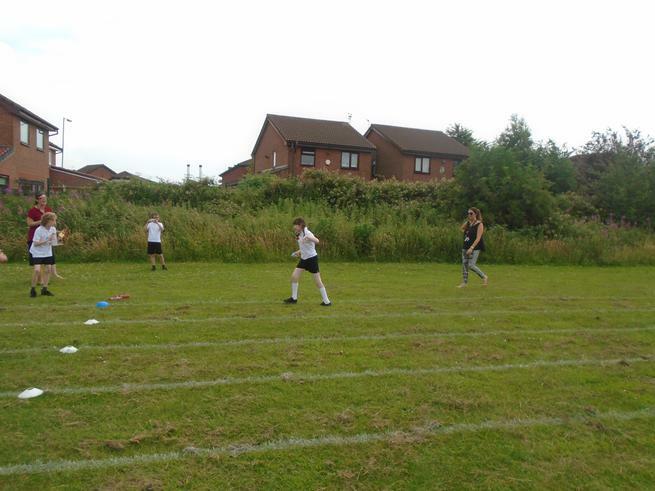 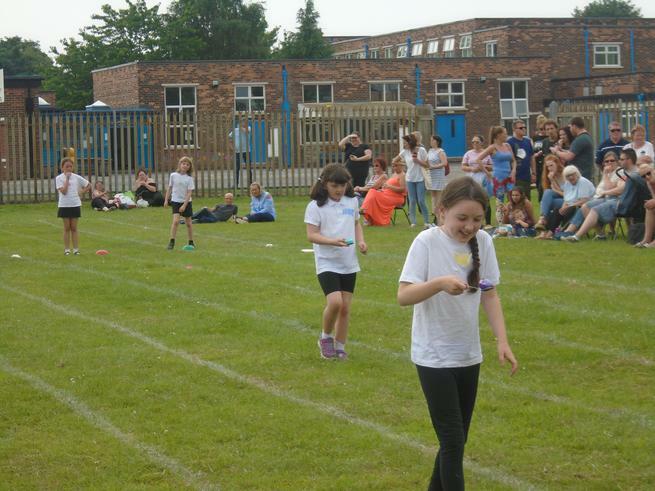 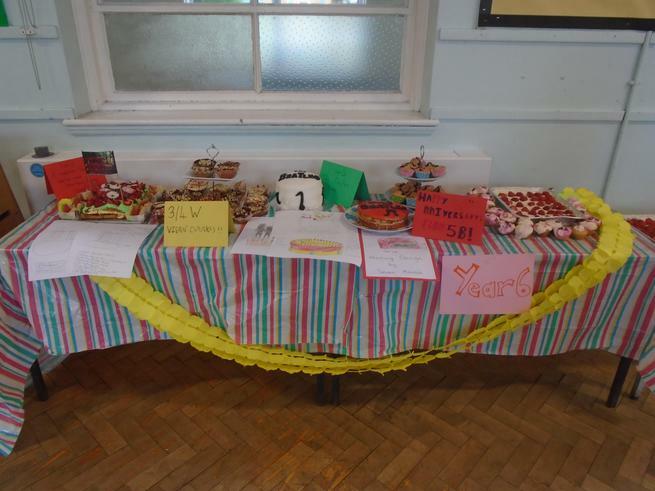 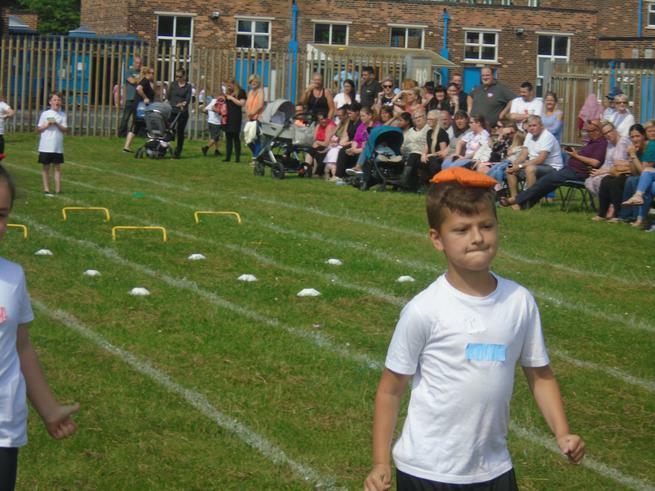 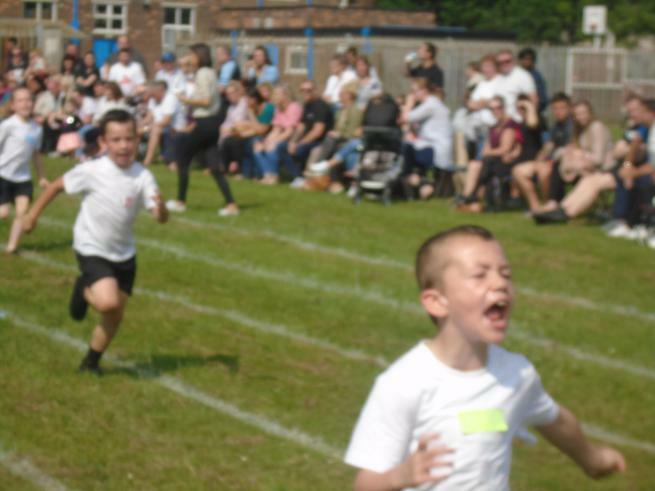 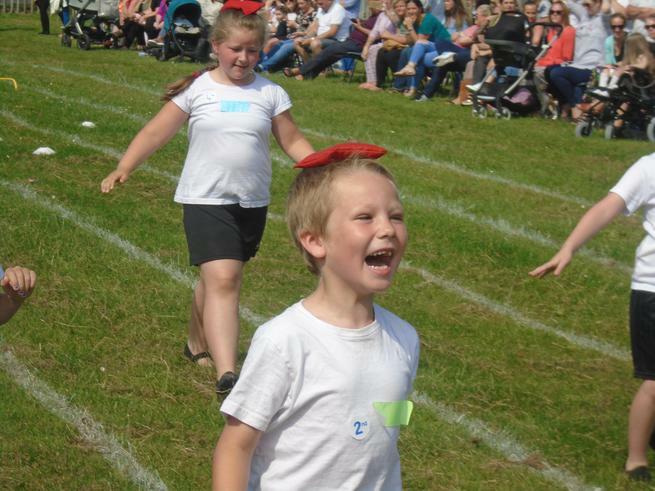 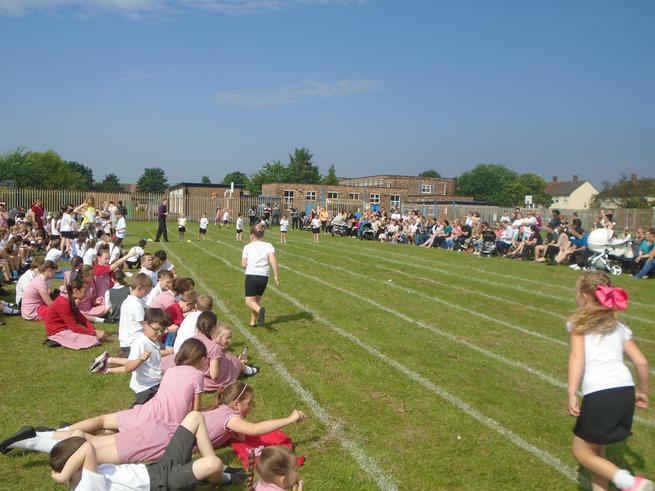 Here are a selection of pictures from our sports day. 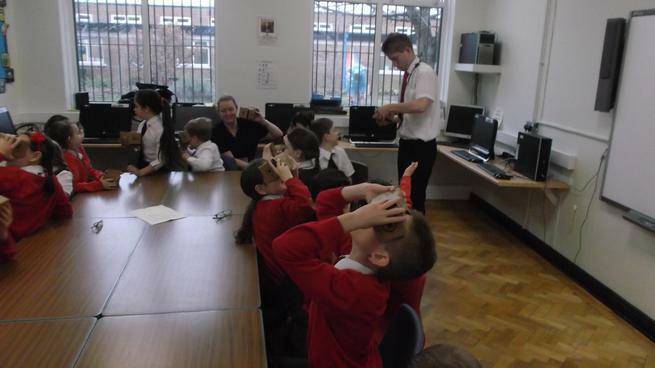 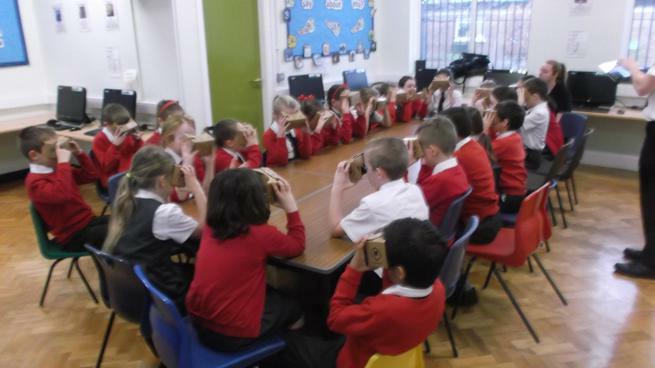 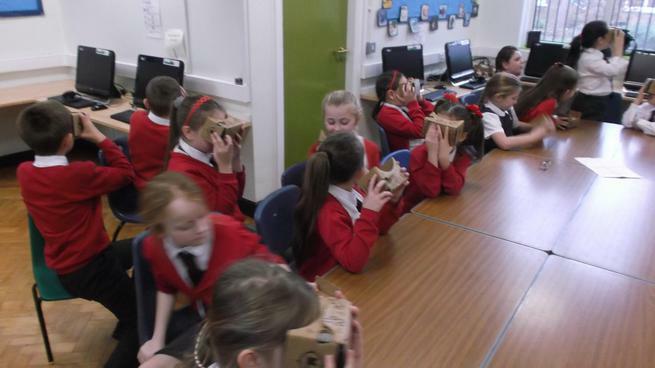 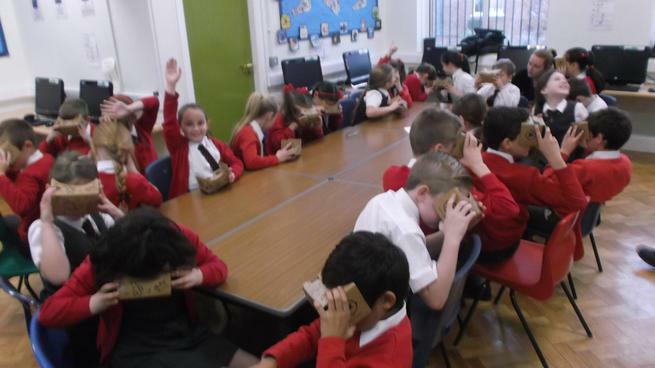 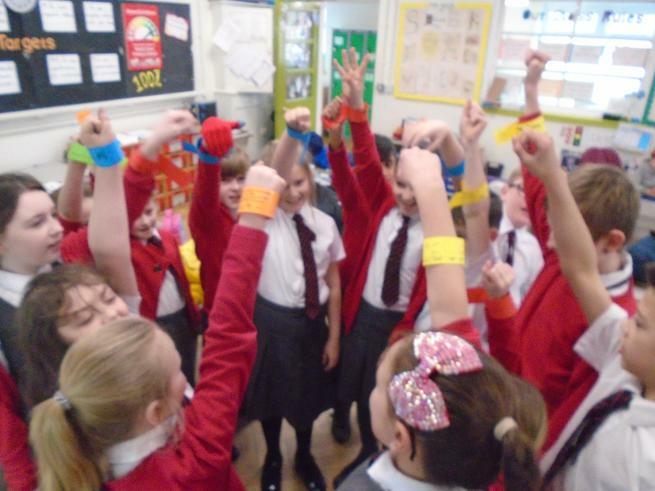 Year 6 had a visit from the British Red Cross. 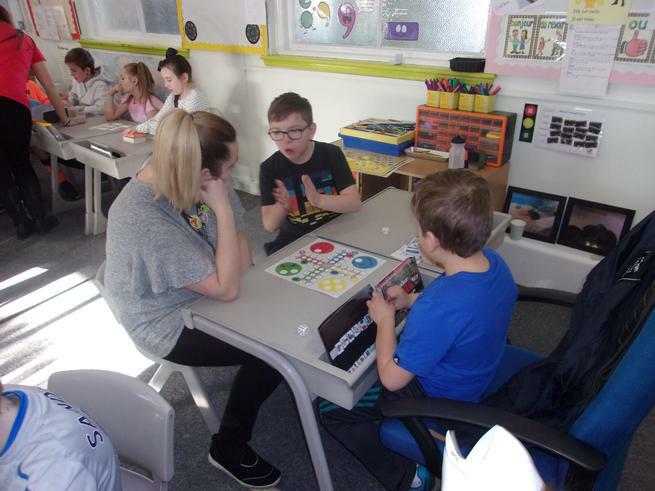 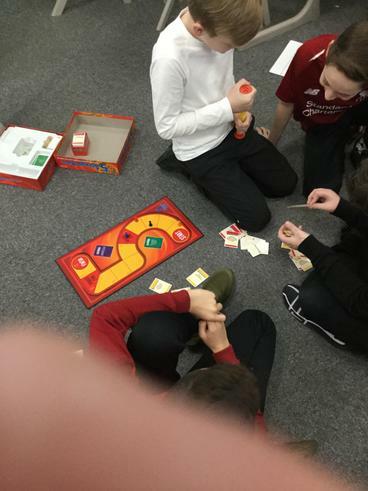 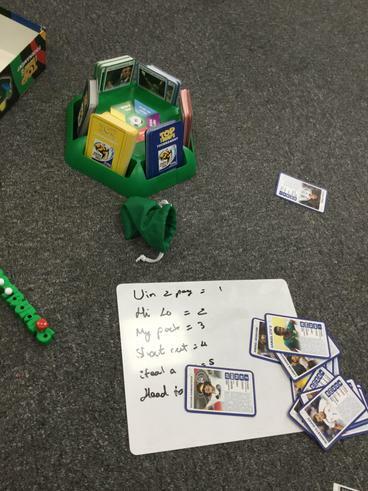 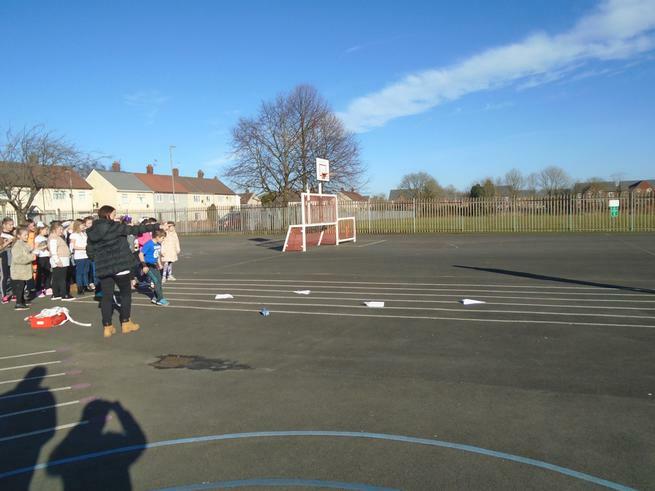 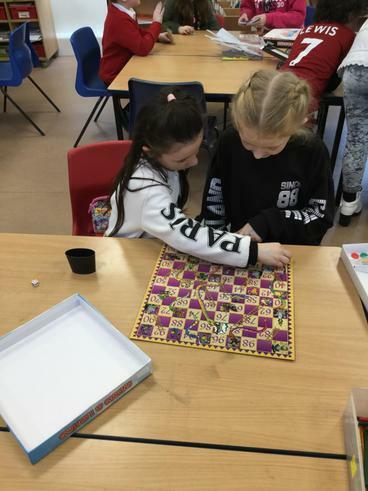 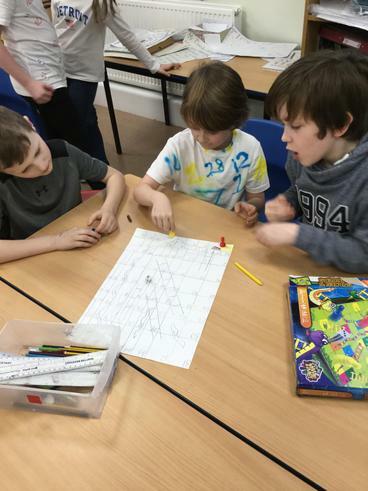 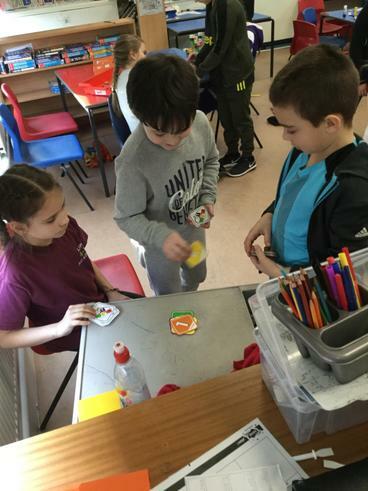 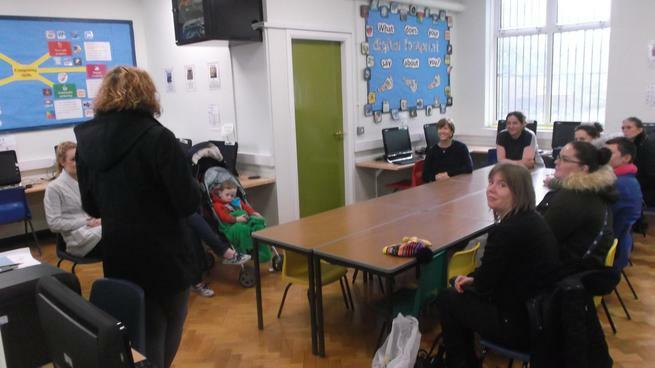 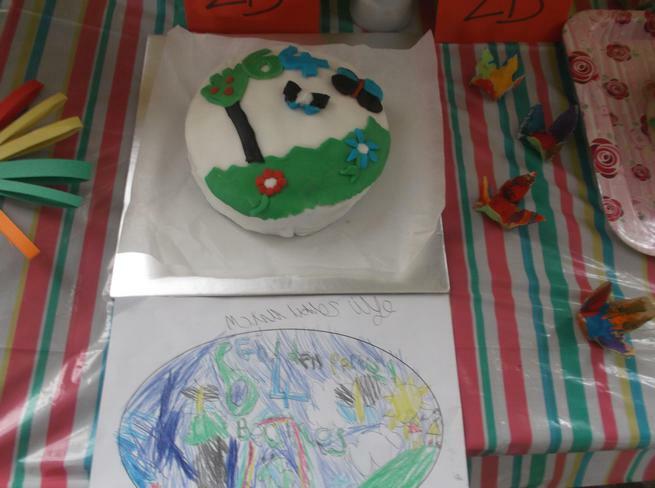 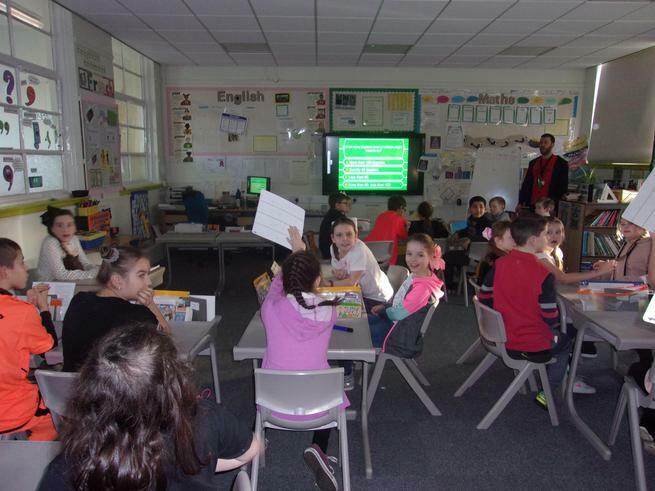 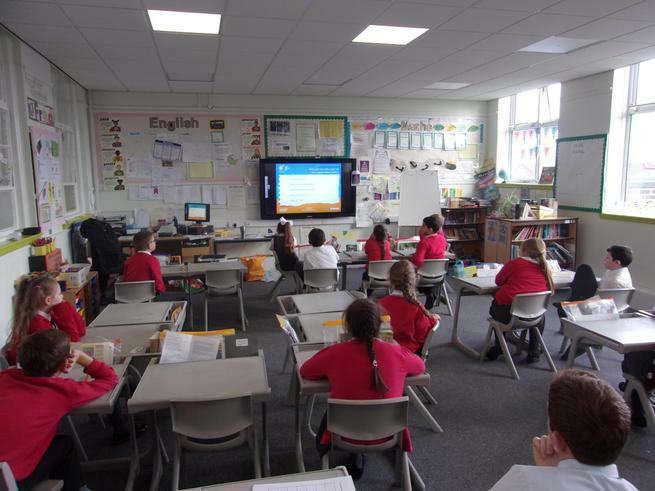 Three volunteers led the session which involved two immigrants and a British Red Cross volunteer.The children were taught about different definitions for Refugees, Asylum Seekers, legal and illegal Refugees. 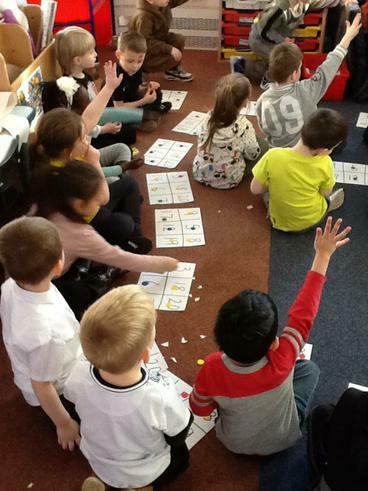 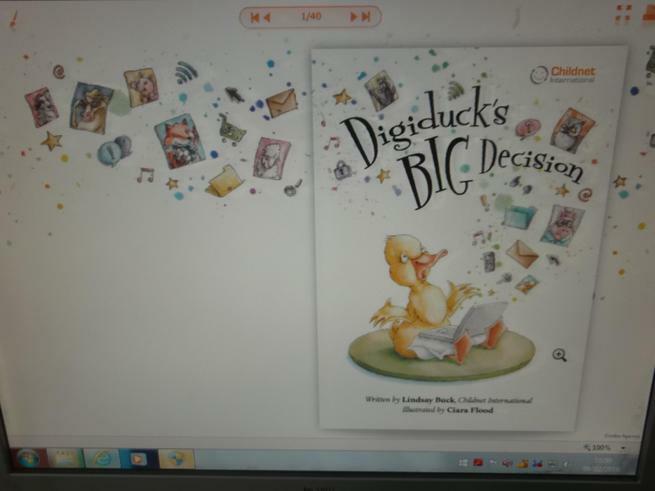 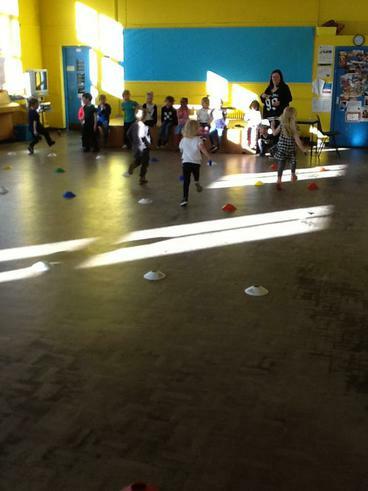 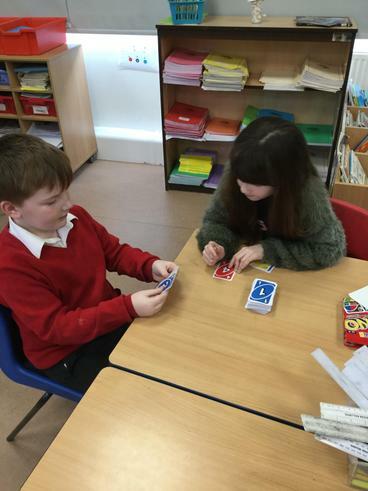 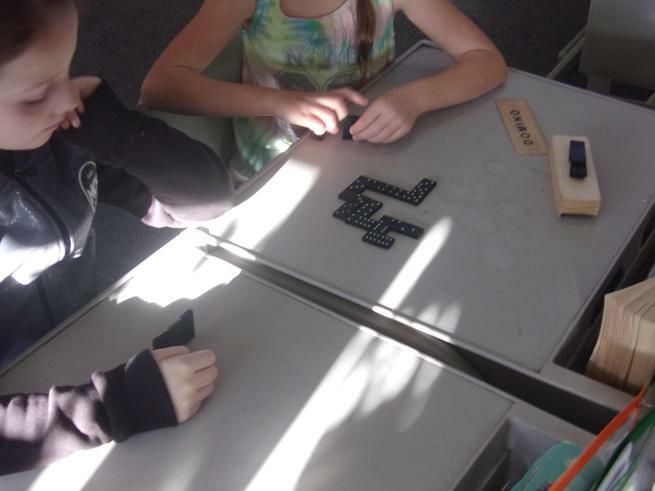 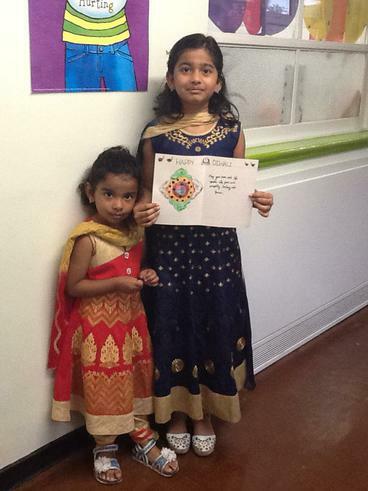 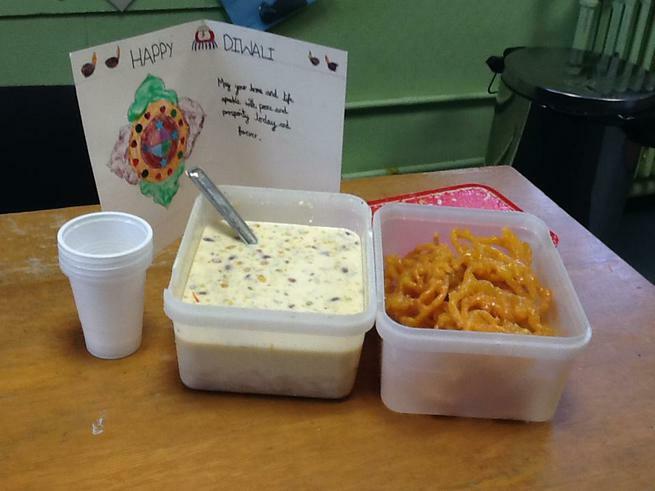 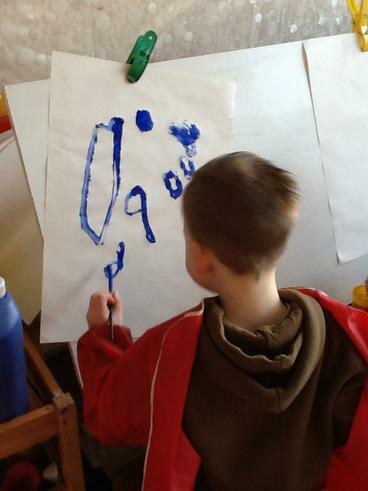 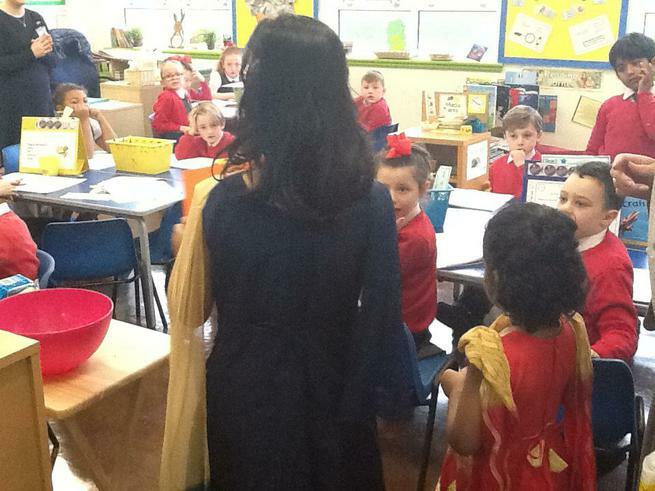 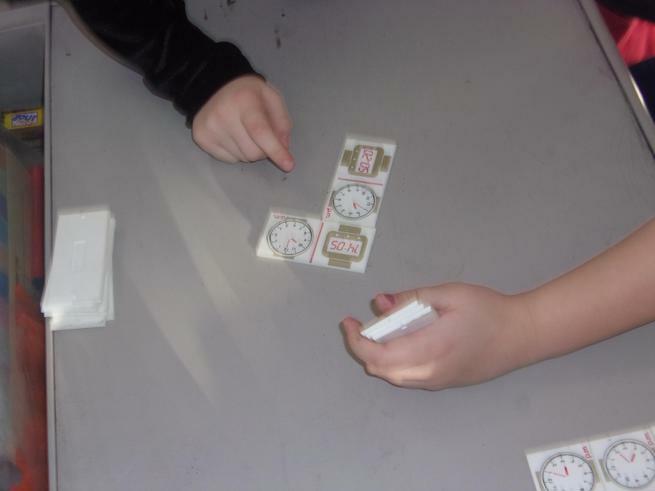 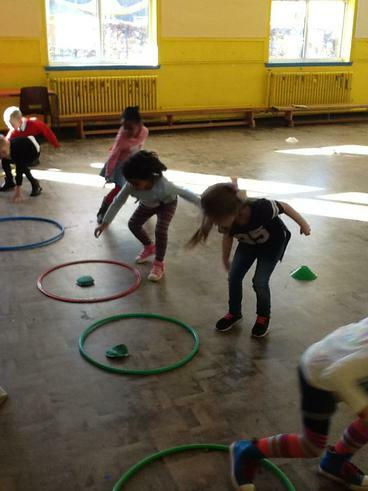 The session was fun and interactive and all of the children responded with keenness and enthusiasm. 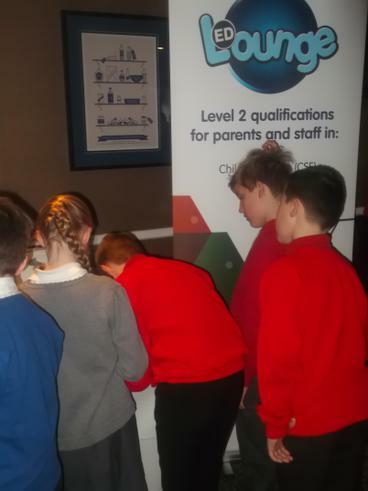 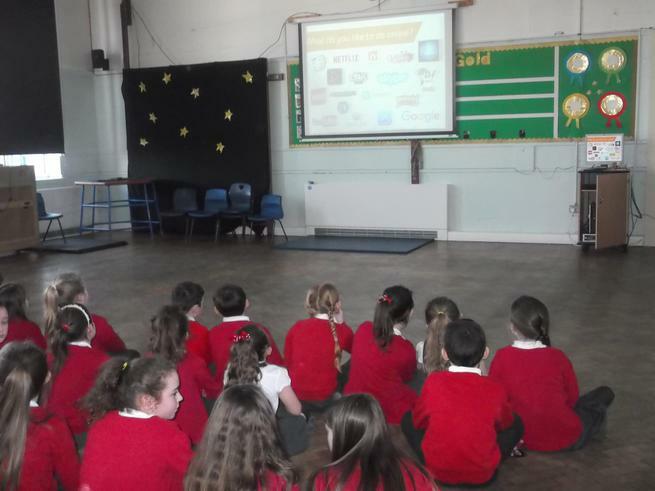 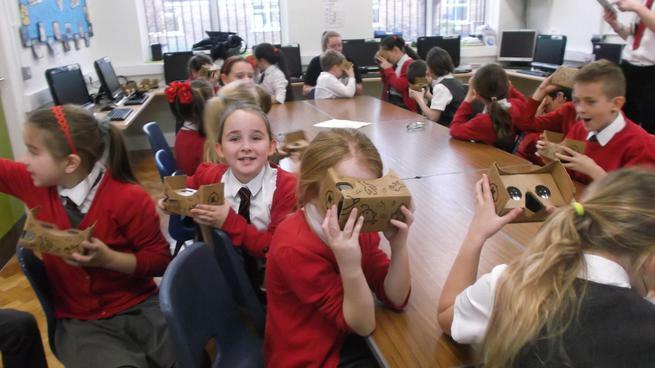 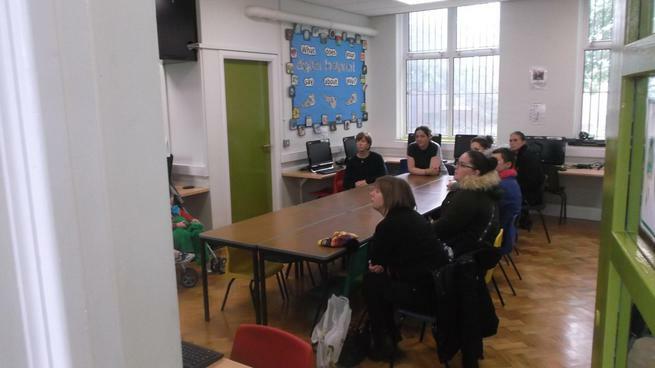 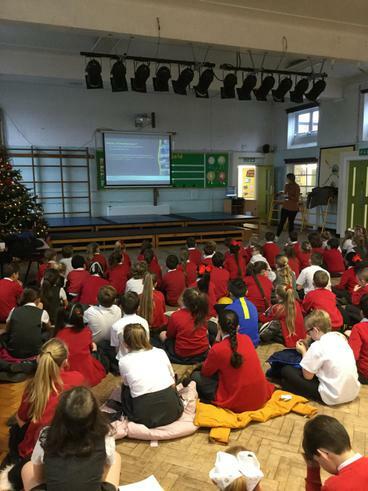 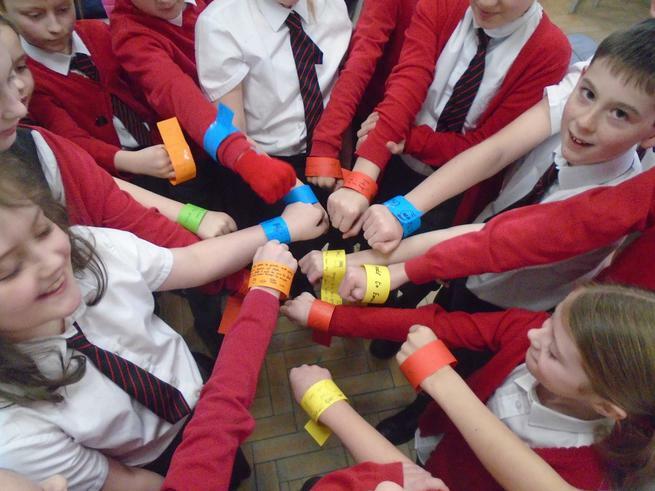 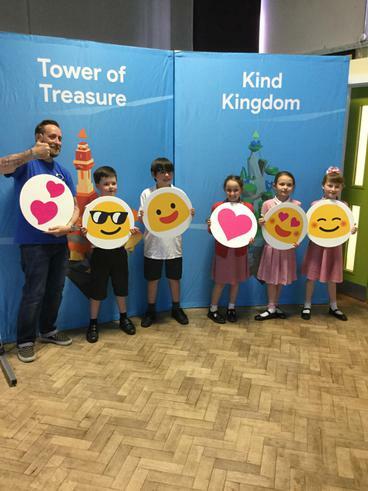 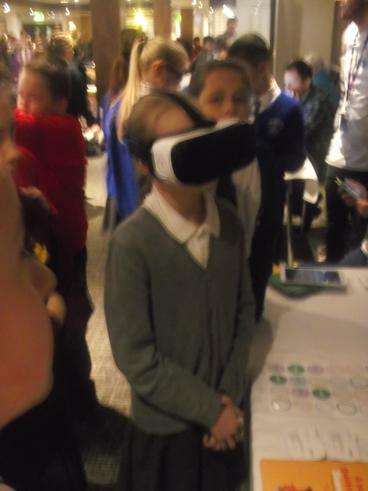 All children gained so much from the session, which was both enjoyable and extremely informative. 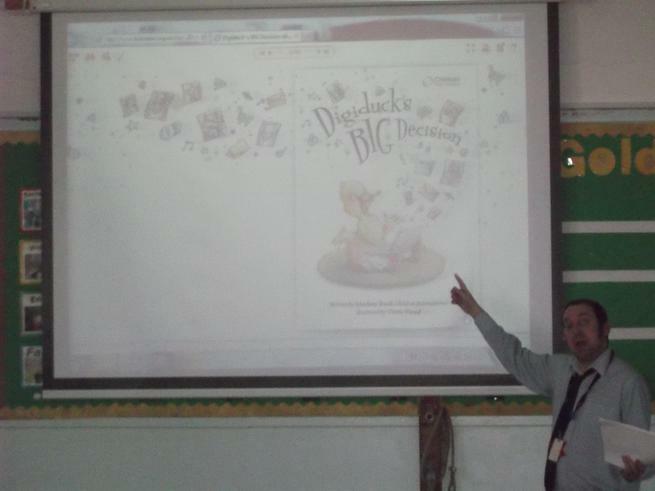 They also had a British Values lesson from Jeff Dunn. 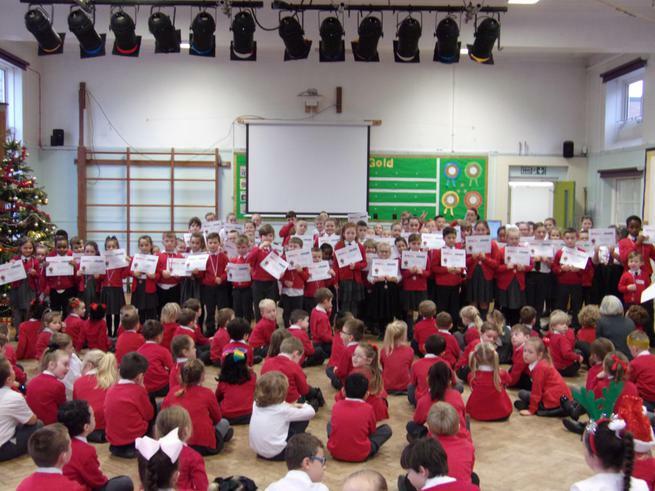 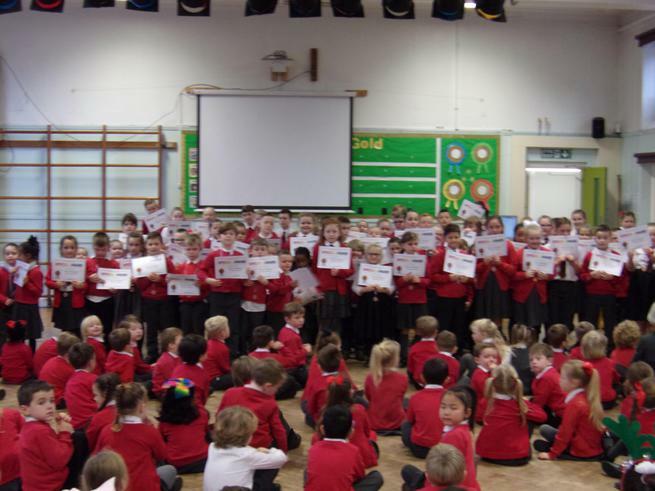 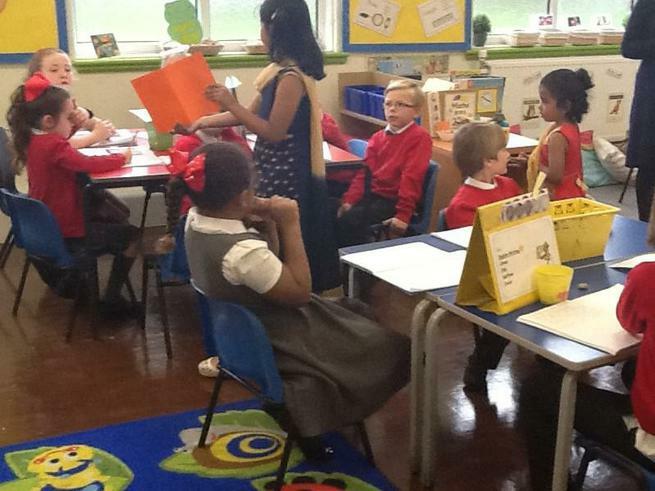 They were challenged to think about what it really means to be British. 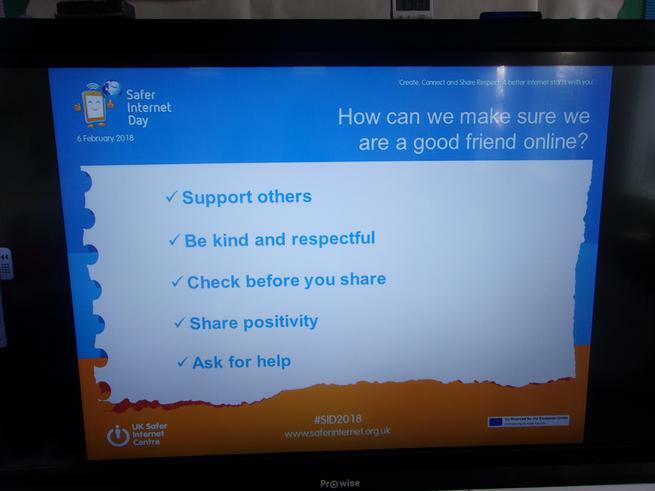 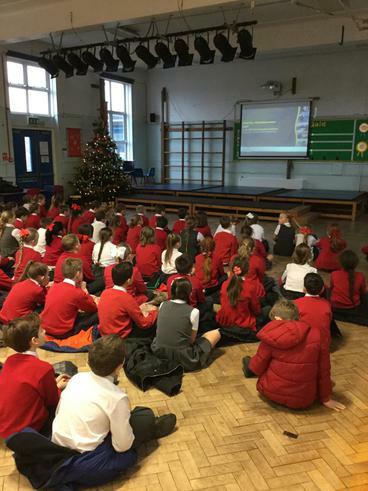 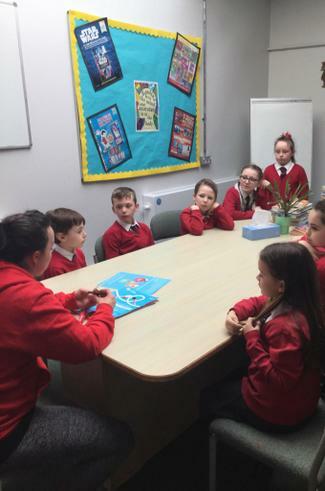 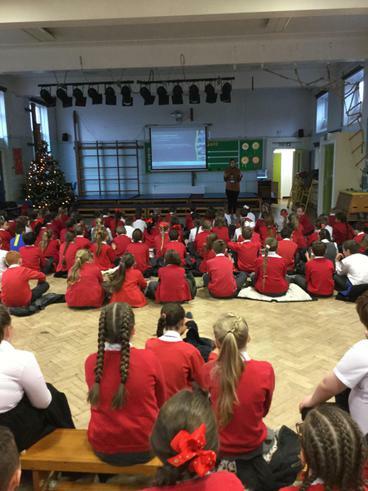 They discussed the EU referendum and how to be empowered through the use of debate and questioning. 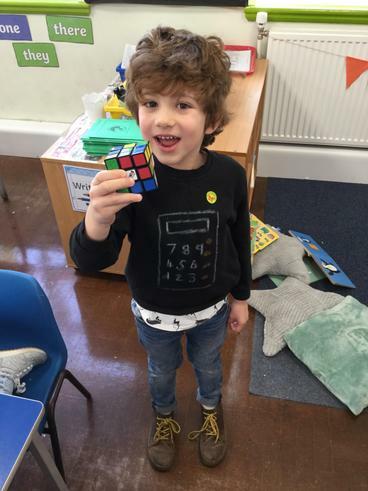 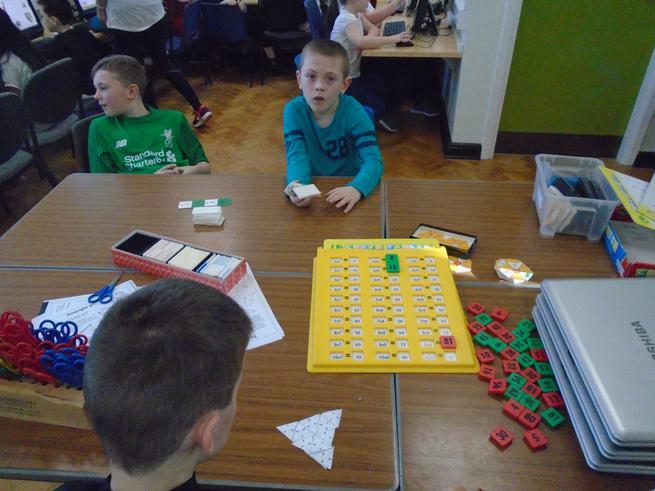 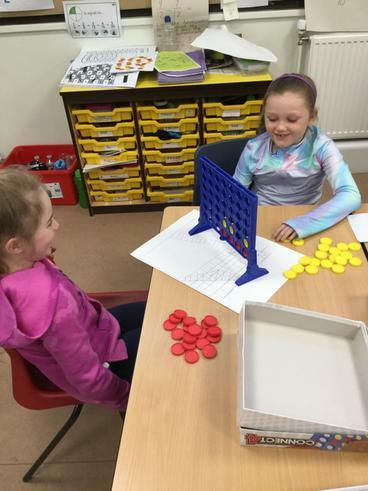 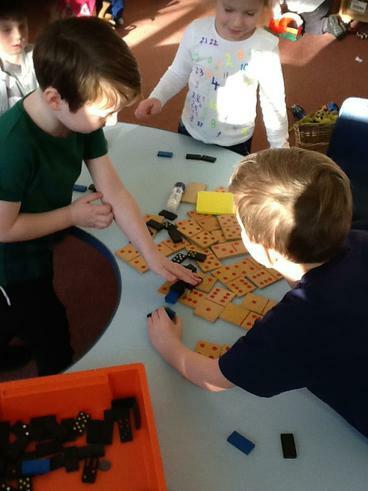 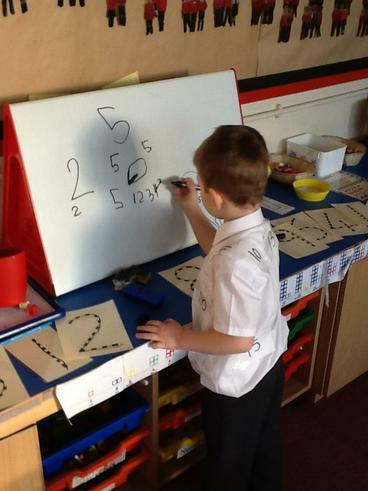 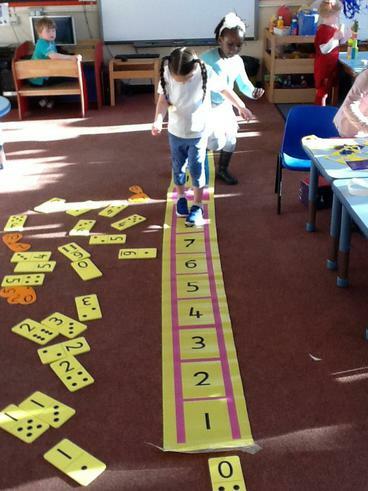 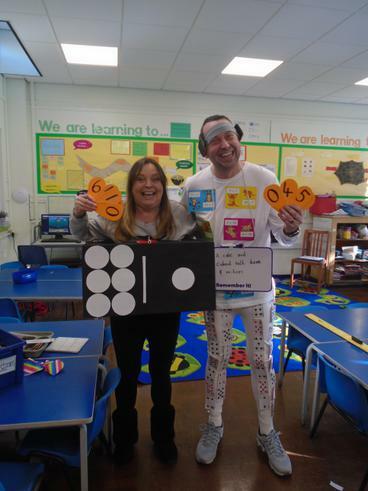 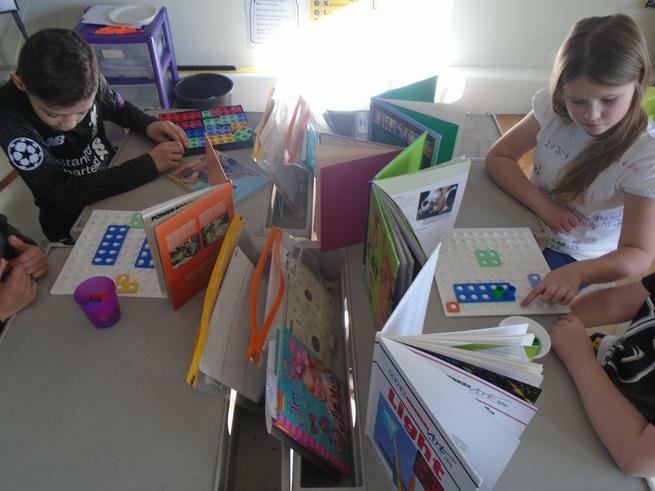 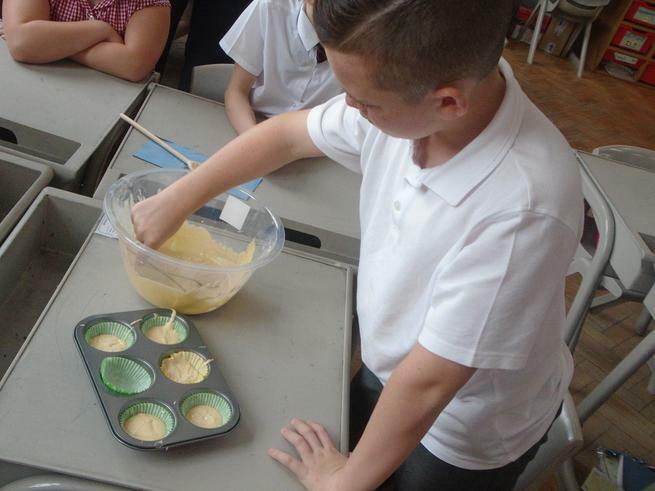 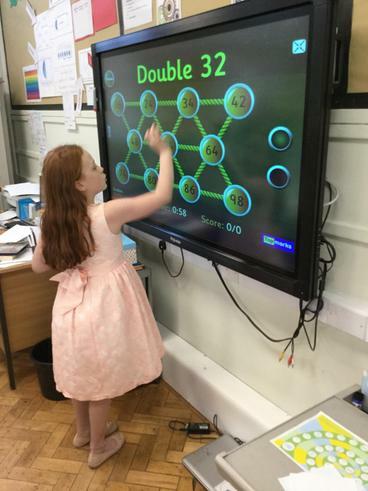 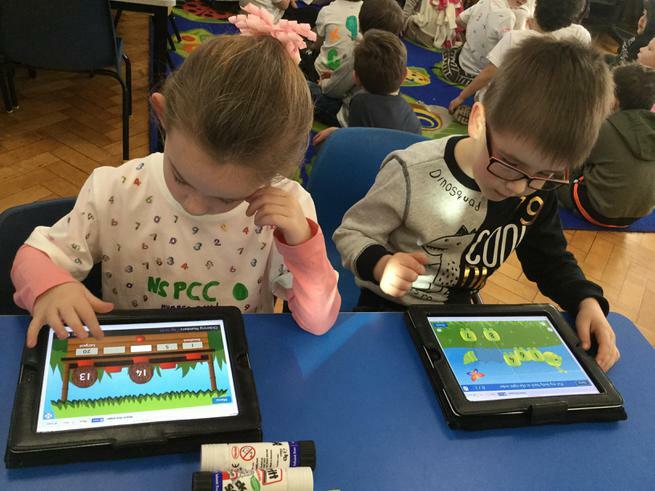 We love Maths at Hunts Cross. 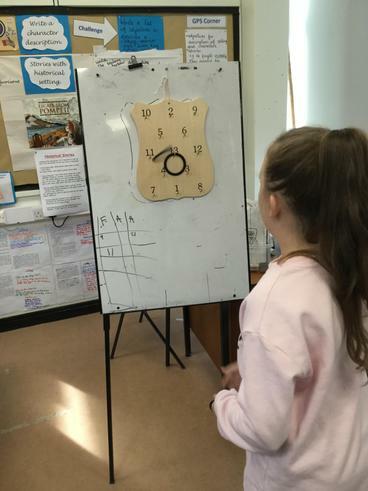 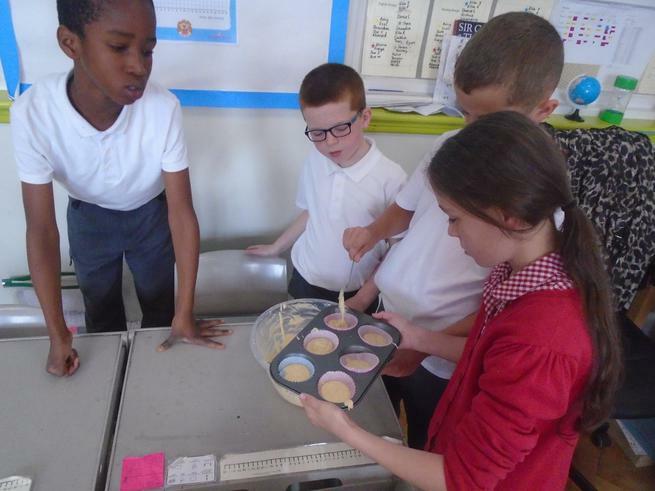 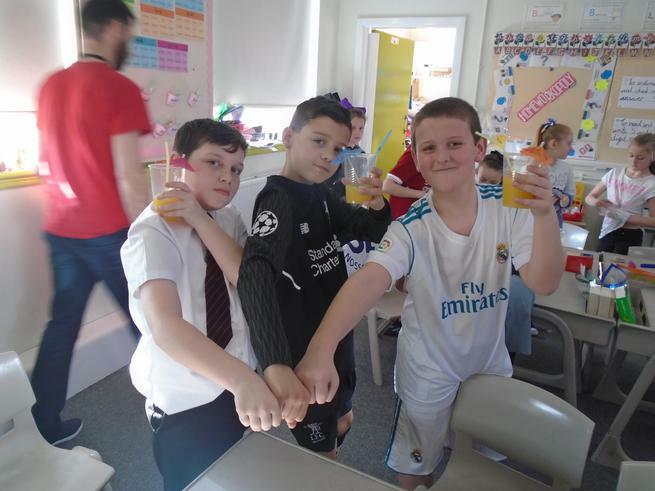 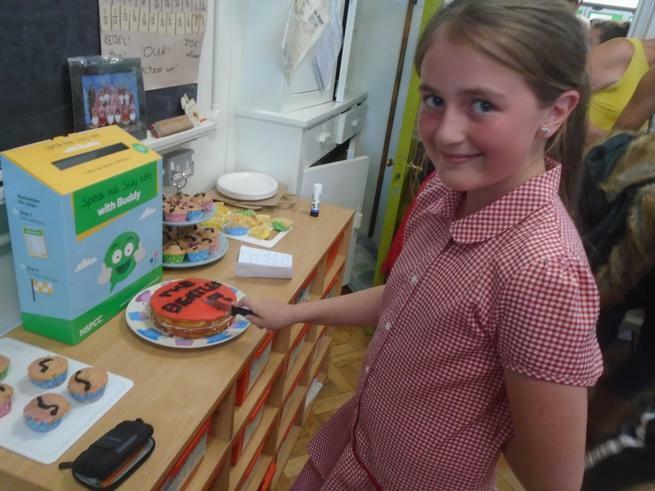 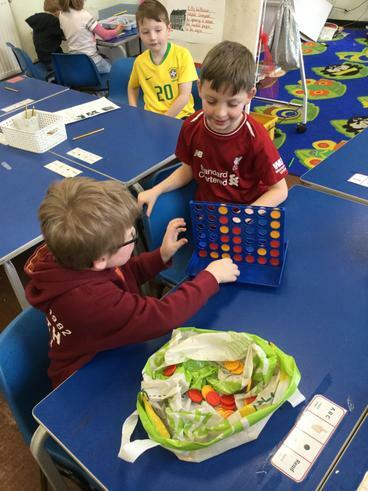 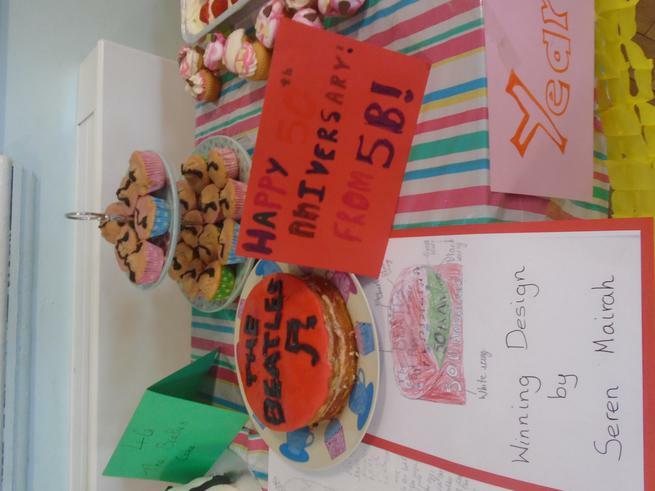 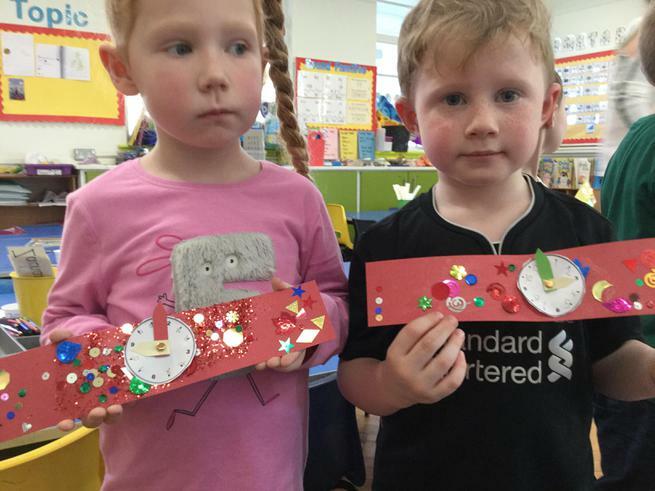 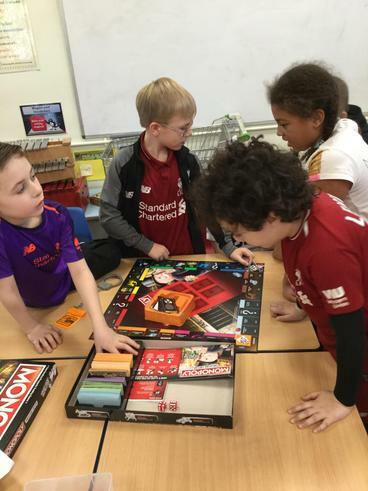 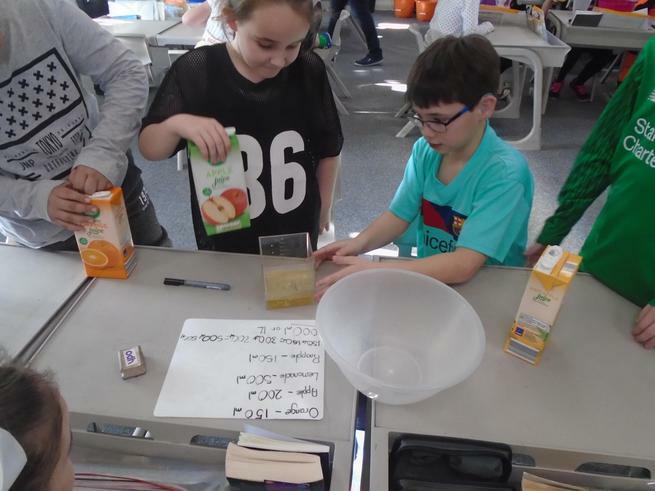 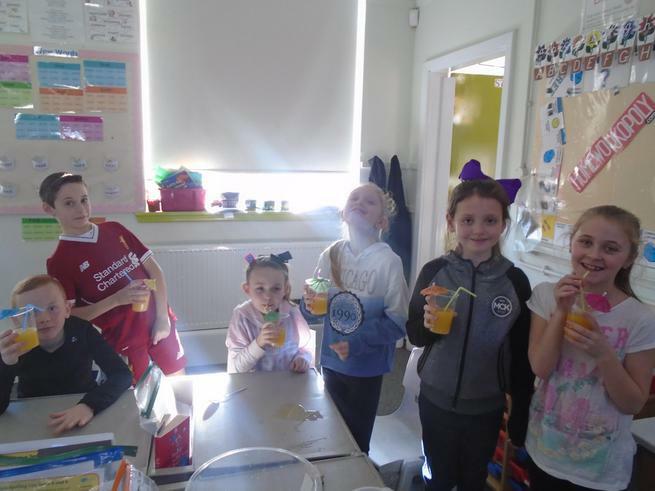 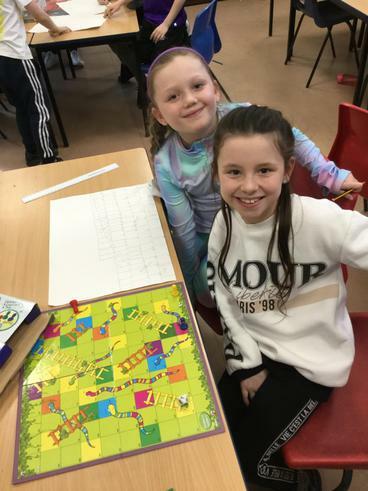 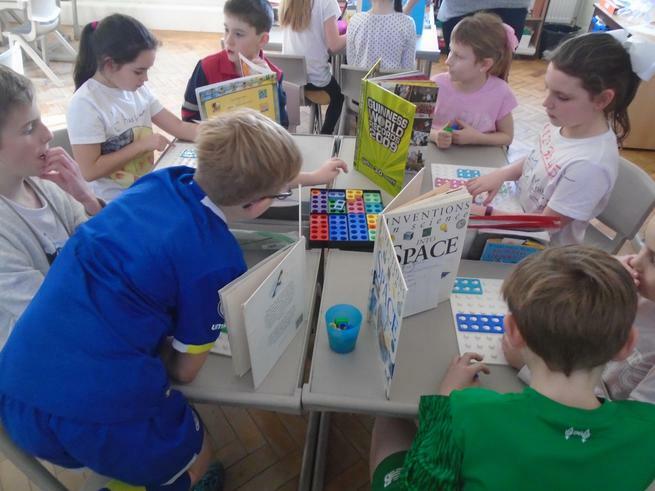 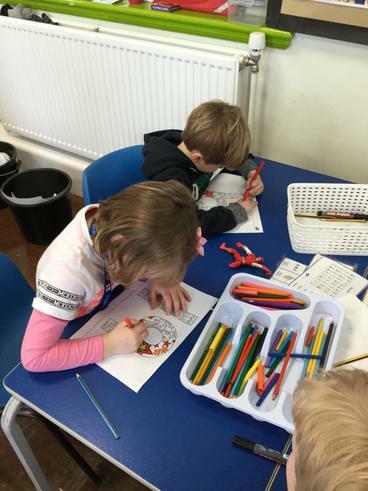 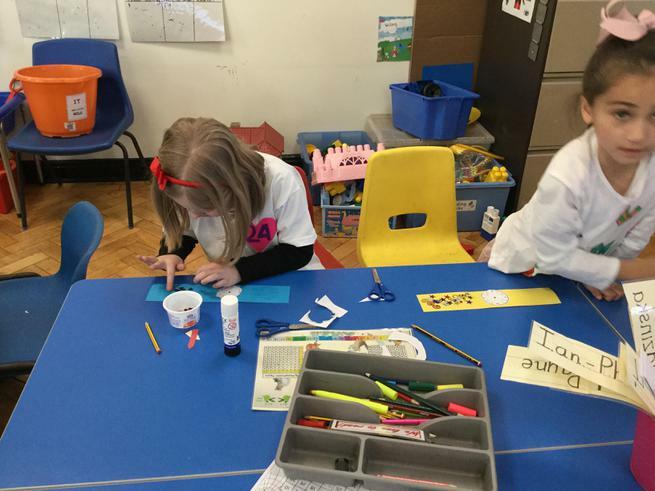 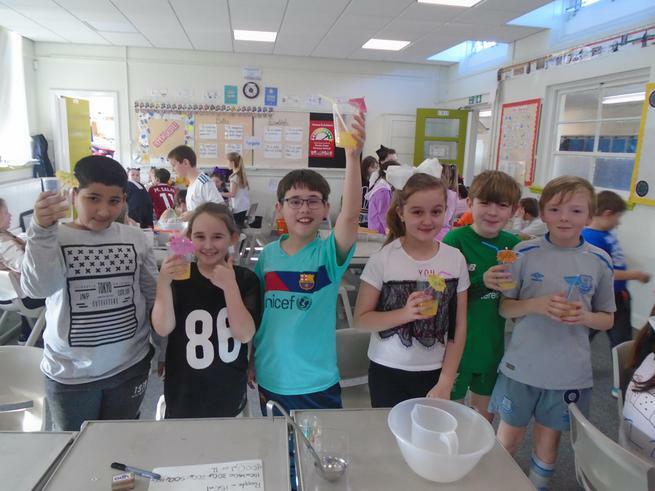 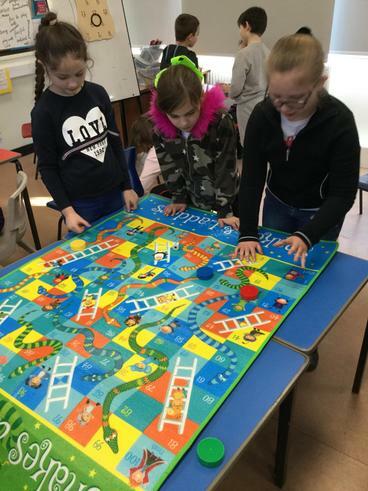 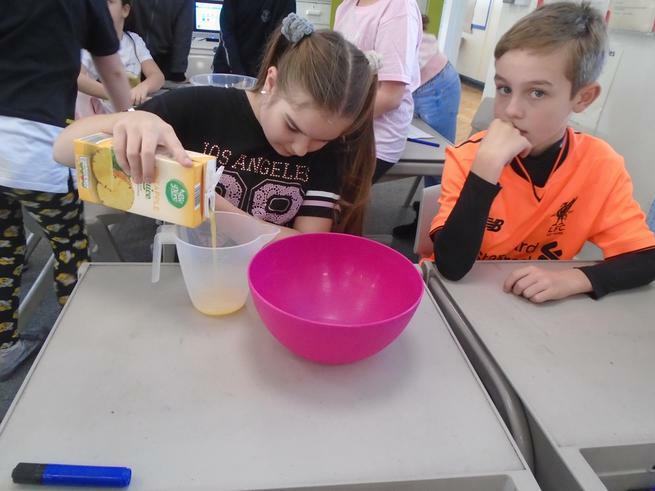 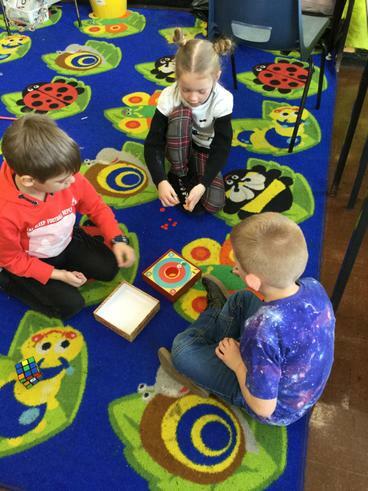 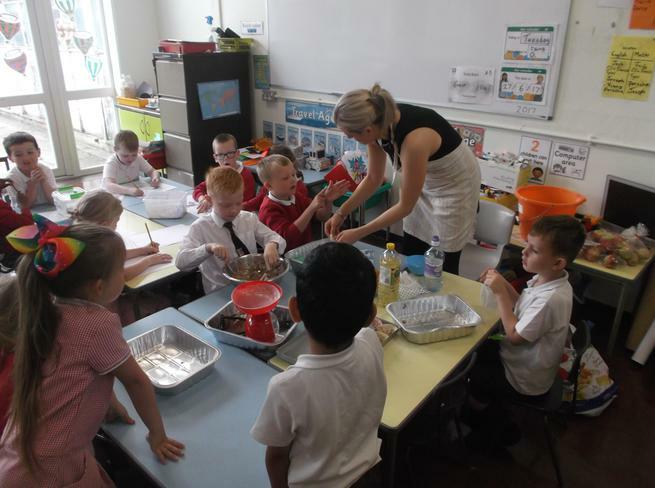 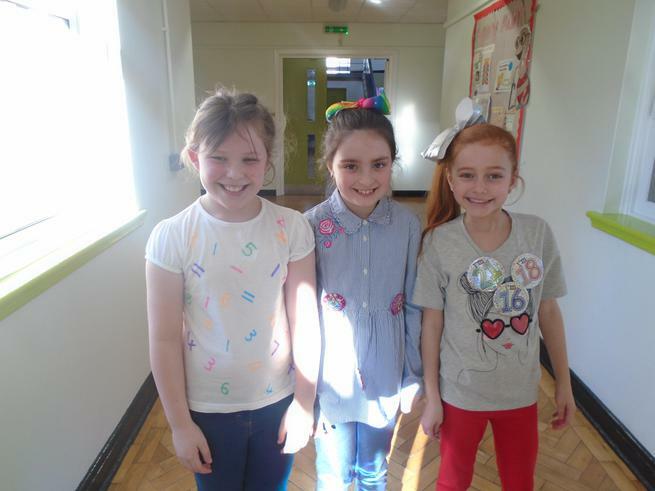 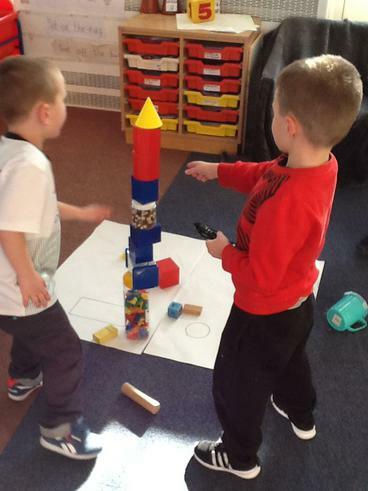 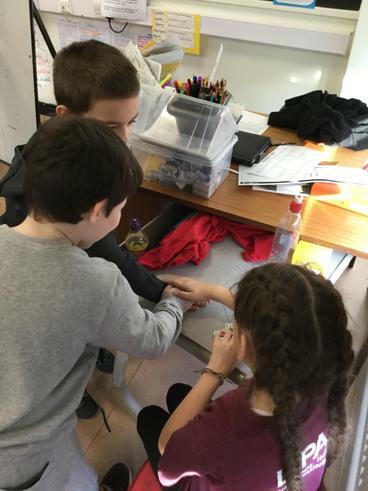 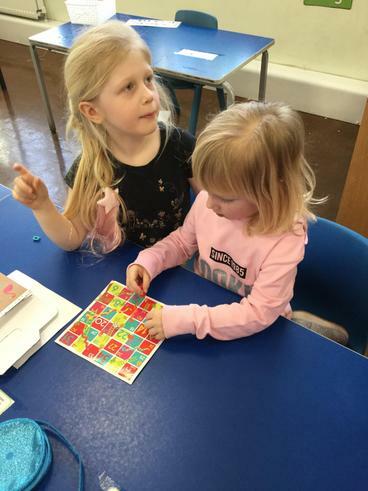 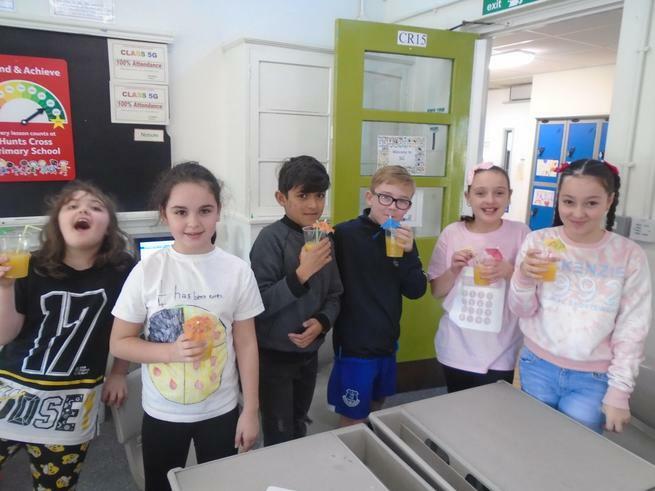 To celebrate Maths party day, every class carried out fun activities such as investigations, puzzles and constructing shapes using spaghetti and marshmallows! 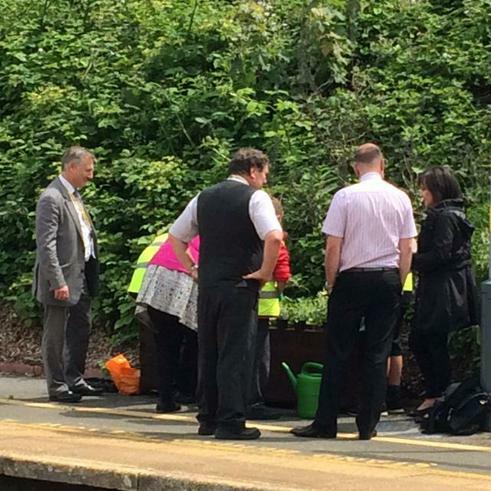 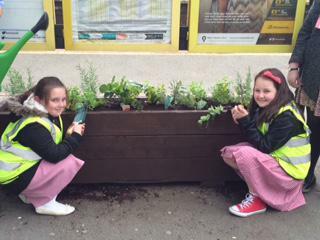 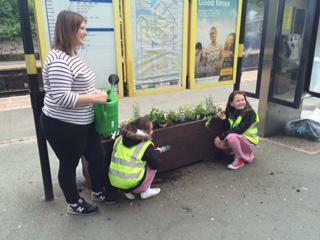 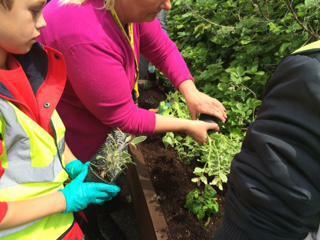 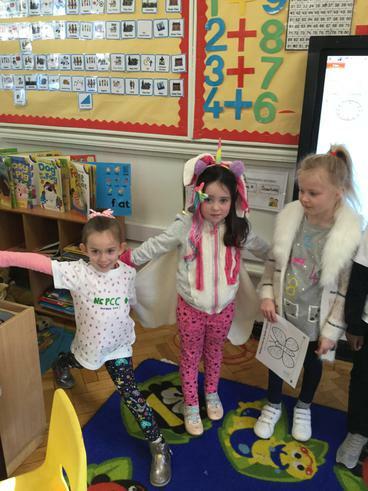 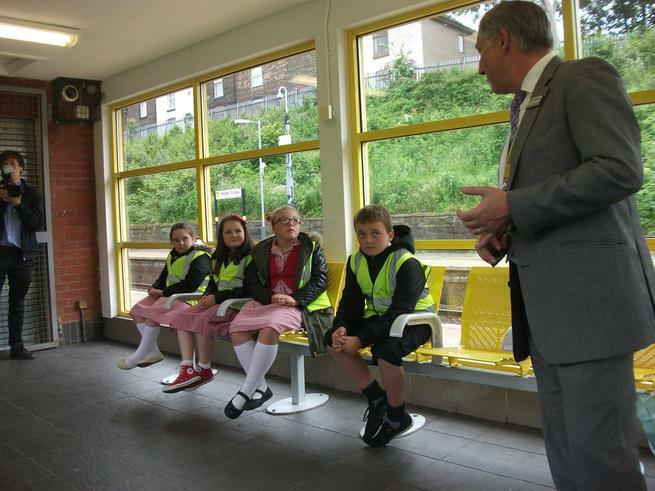 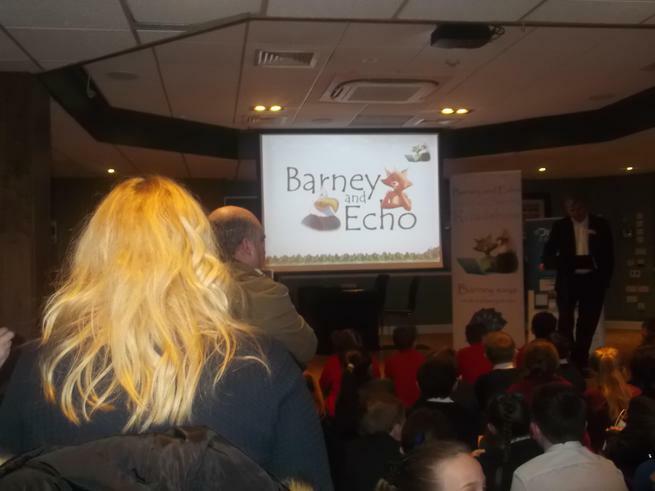 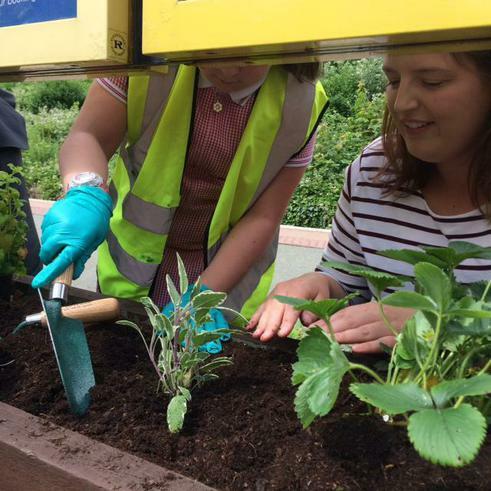 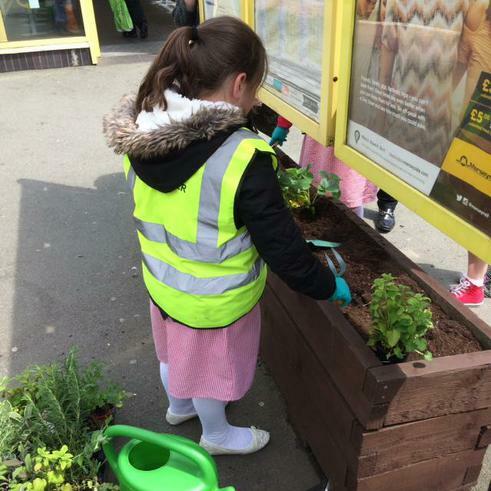 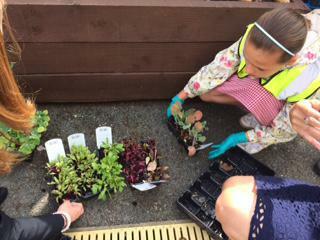 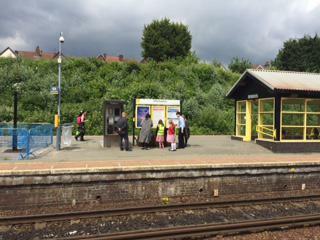 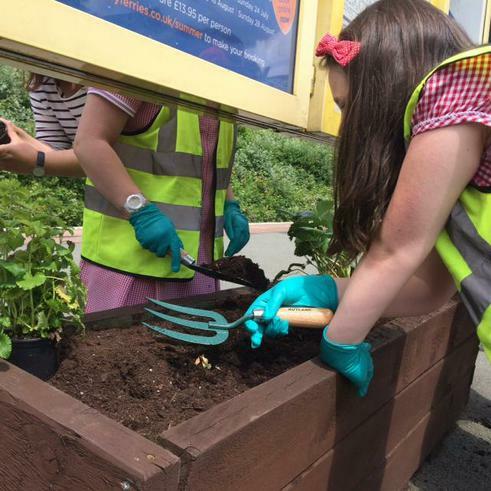 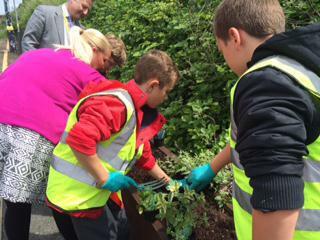 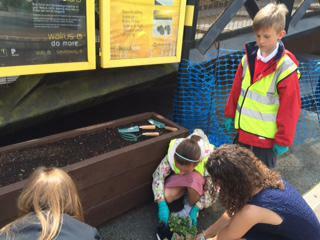 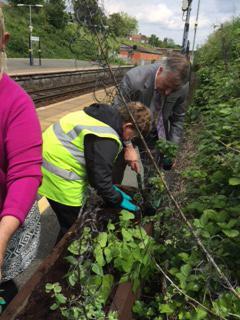 Incredible Edibles invites Hunts Cross children to the local train station. 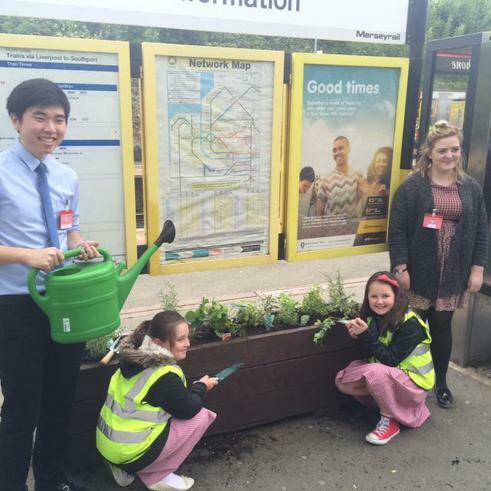 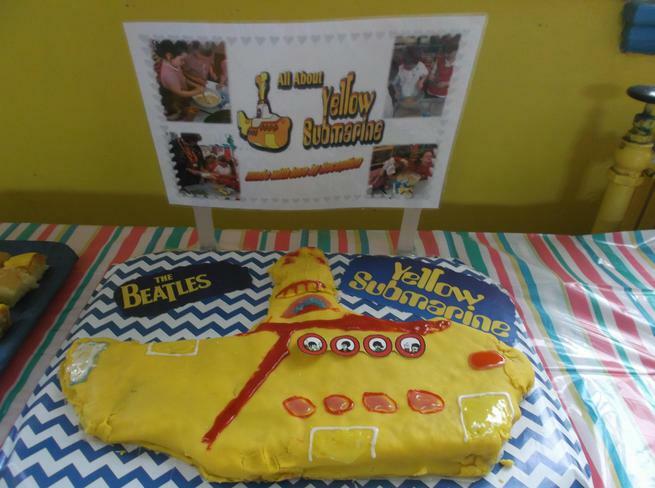 Hunts Cross has got Talent! 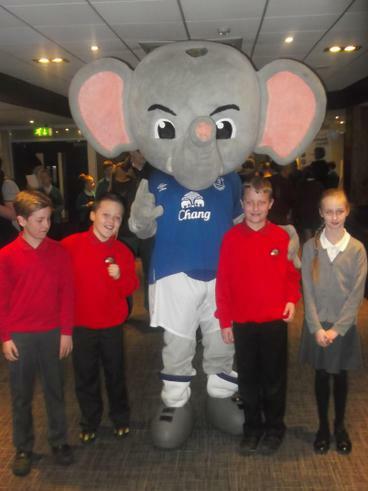 In aid of The James Bulger charity. 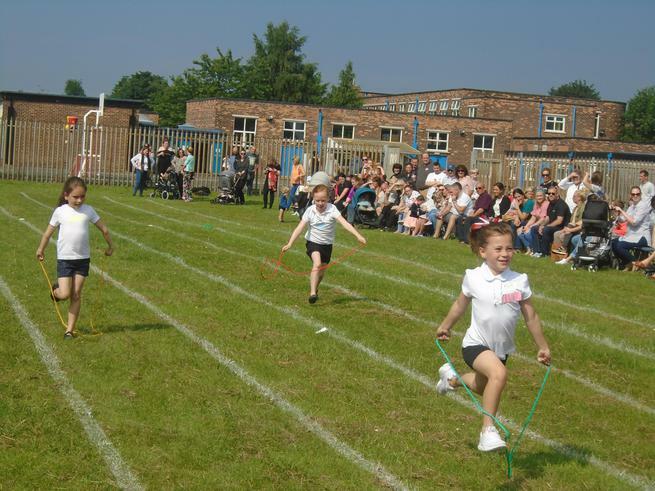 Featuring Chris Maloney! 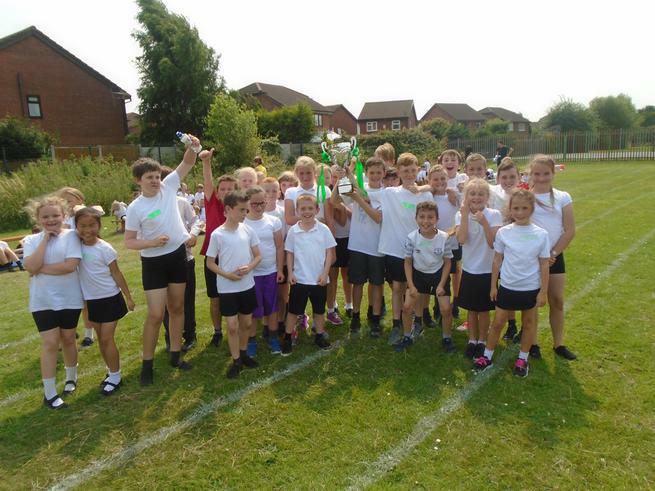 We have achieved the Silver School Games Award!